Life has had quite hectic twists and turns lately. Sometimes I wonder how it is even possible for me as one human being to cope with all these projects I have managed to gather in my life. But in some weird way person kind of multiplies herself, expands time or makes other magic tricks when stuff just needs to be done. And there is no time to sit around when a revolution awaits! A food revolution, you know, in which I try to take part with my work. 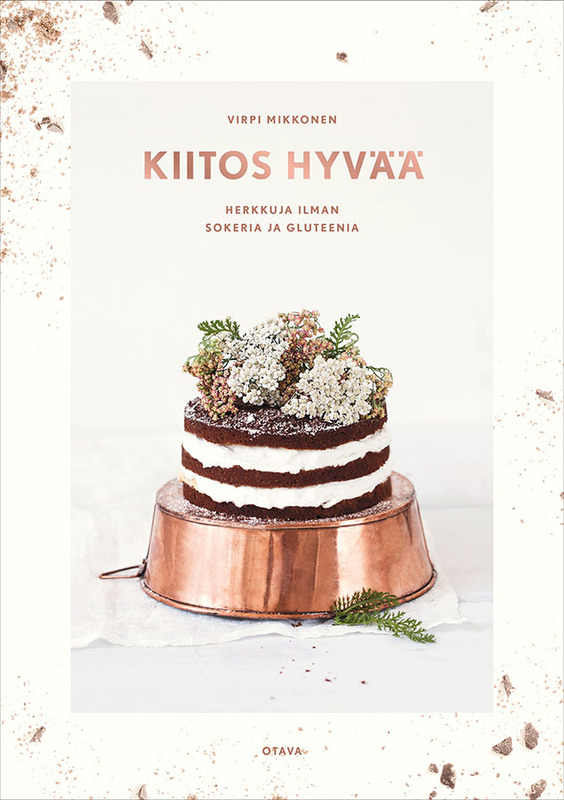 A part of my revolution dream has now become reality as my very first cookbook about healthy sweet treats, that came out in Finland some time ago has now been released in the US and it goes by the name It’s a Pleasure. 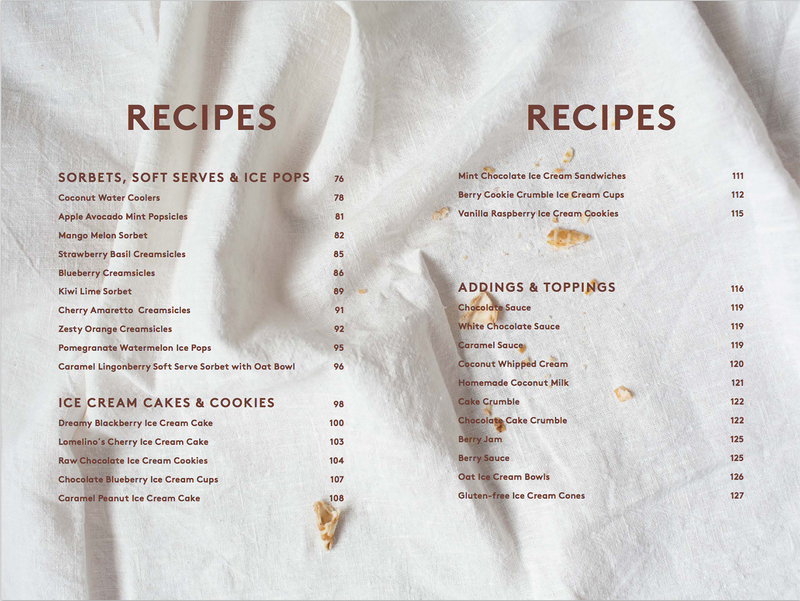 I’m so happy about the outcome – the book looks and feels super pretty and nice and I hope it can help to transform globally the way people feel about sweets with it’s over 80 recipes for cakes, candies, cookies, muffins, ice creams, chocolates and other sweet treats – all without guten, dairy and refined sugar. Because there is just no better way to indulge than to savor with treats that left you feeling light, healthy and satisfied! Try for example these overwhelming pralines. I have prepared big batches of them lately and people have LOVED them. And no wonder. The best pralines combine many elements: a soft filling, a texture that snaps nicely and something crunchy. Also, a hint of saltiness is a big plus. These chocolates are all of the above and can be created with very simple and wholesome ingredients. Please, just try them! And if you wish to have a copy of It’s a Pleasure, throw me a message here below before Oct 10th and I’ll pick two winners to whom I’ll post the book next week – in Finnish or in English, you choose! Until then – Viva la revolucion! 4 ounces unsweetened dark or raw chocolate, or ½ cup Basic Chocolate from the It’s a Pleasure book. Pit the dates. Put the dates, coconut oil, water vanilla extract and salt into the blender and purée. Caramel should be thick and smooth. Spoon the caramel in a freezer-safe container and put it in the freezer for about 15 minutes so that it thickens a bit and is easier to handle. Line a small baking sheet with a parchment paper. When the caramel sauce has thickened, take about teaspoon-sized dollops of the caramel and place onto the prepared baking sheet and mold the caramel into balls. Press a pecan into each ball. And then add about half a teaspoon of peanut butter on each pecan nut and place the tray into a freezer. Freeze for about 30 minutes. In the meantime melt the chocolate on the top of a double boiler / in warm water bath. 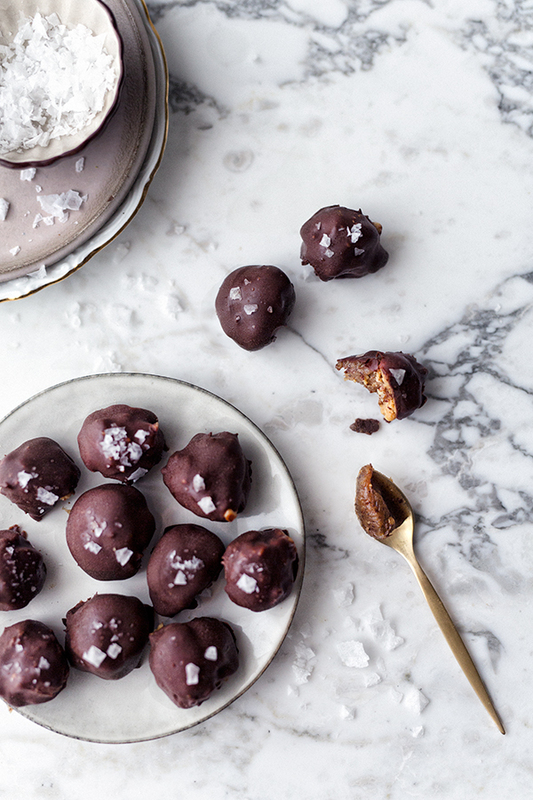 Take the pralines out of the freezer and dip each of them into the chocolate icing. Sprinkle with flaky sea salt and return them to the freezer just to set. Bring out, serve and indluge. Keep in an airtight container in the fridge or freezer. Virpi you are such an inspiration to me! 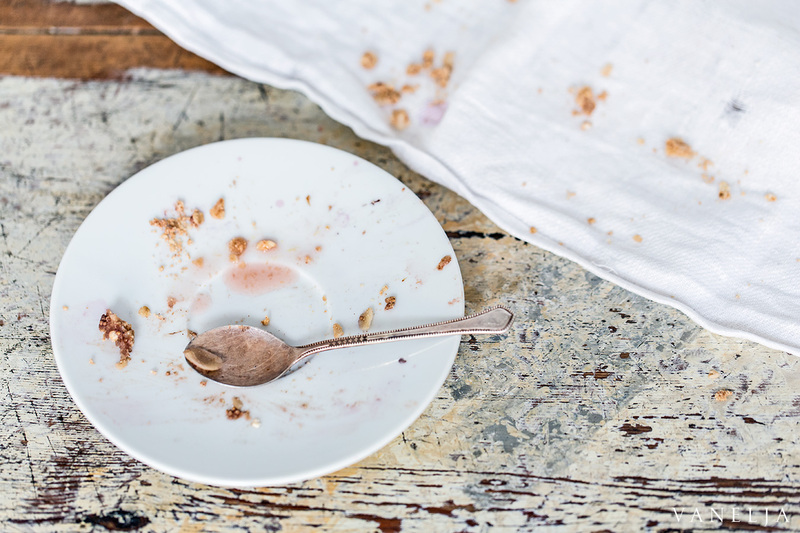 I am allergic to wheat, dairy, and eggs, and I feared I would never again be able to enjoy desserts. However, after discovering your blog and purchasing your N'ice Cream book, I have become a huge fan of yours and I have enjoyed making, and eating, your recipes - especially your healthy treats. 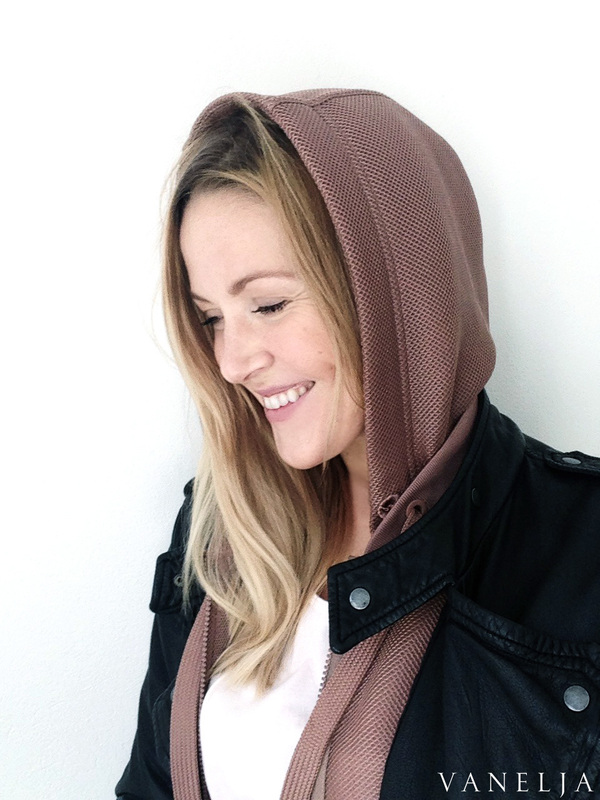 Thank you for your beautiful blog and all you do to spice up our lives! Much love from America! My baby is turning 1 on October 10th, which is Thanksgiving Day in Canada. 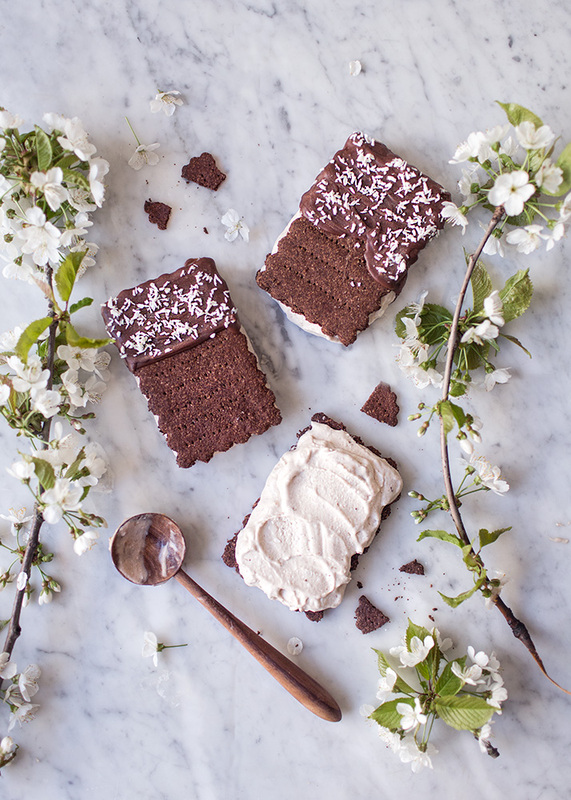 He's having white bread with homemade apple butter and coconut whip on top; but I'll make these for the adults. Then, we'll all be able to give thanks. Löysin sivusi juuri äsken vanhan lehtijutun perusteella. Tietyllä tapaa terveellisen ja puhtaan ruuan suosija olen ollut jo pitkään. Mutta nyt olen varma, että ruokakaapin sisältö menee uusiksi :) Suomeksi, kiitos! Minulle! Olen pitkään seurannut blogiasi, mutta kirjan ostoa en ole siltikään kerinnyt tehdä. Olen kiinnostunut leivonnasta ilman sokeria, joten reseptit olisivat tarpeen. Enkku-versio kyllä kiinnostaisi kovasti! Kielitaitoahan ei koskaann voi kehittää liikaa! Oi, olisipa ihanaa saada kirja! Ihania konvehteja! Maistuisivat tässä opiskelun ohessa..Suomenkielisen kirjan haluaisin kovasti! 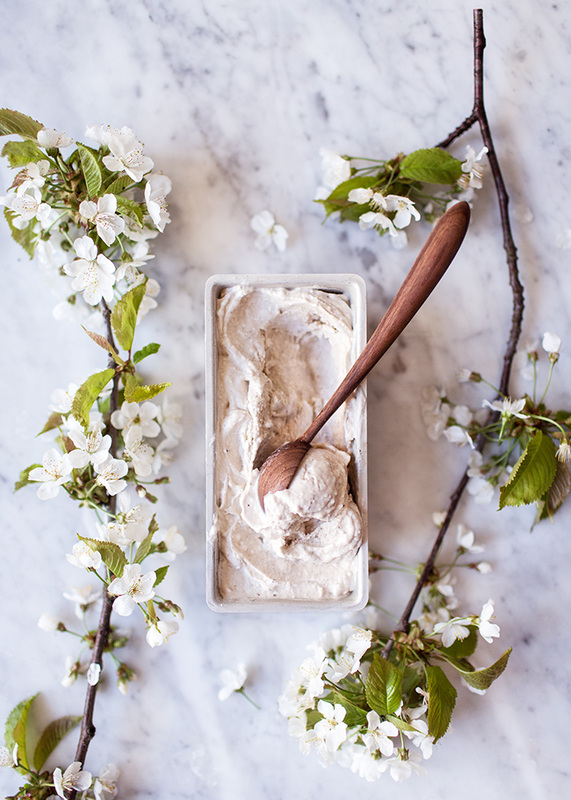 ever since i discovered you webpage i have been using it very often, especially your 3 ingredient chocolate cake which i use as base filled with the cream of the moment. thank you for the inspiration. i am hoping for some inspiration i can touch in form of a book :-). however i am very grateful that you are, so keep inventing beautifully healthy recipes. Would love to get a chance to explore your recipes!! Me, please! Both my mum and boyfriend are well into taking part in the food revolution (along with myself) and I would love to share the delicacies of the book with them, and many others. 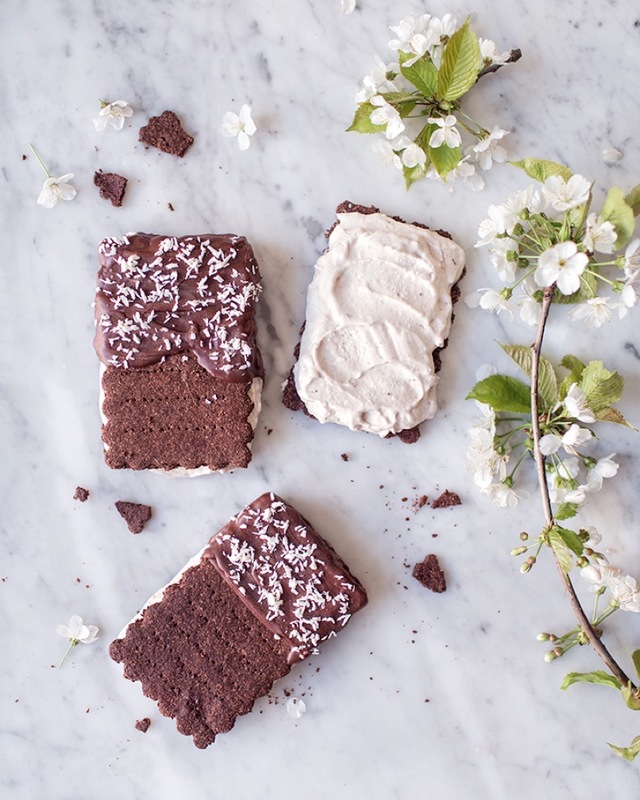 I have the world's biggest sweet tooth myself, and since life should not be about deprivaiton, I want to learn to make better choices also when it comes to sweet treats. What a pleasure it is being kind to animals. Thank you Virpi for showing us the way. Kirja on ollut ahkerasti lainassa kirjastosta, joten toivottavasti saisin oman suomenkielisen kappaleen, jotta muutkin kirjaston asiakkaat pääsevät nauttimaan ihanista herkuista! Vielä ei kirjaasi hyllystäni löydykään ja uudistettu painoshan olisi mitä mahtavin lahja. Kielenä menisi kumpi vain. Oih, olen haaveillut tästä kirjastasi jo pitkään, se toinen löytyykin jo hyllystä. Olisipa arpaonnea! Hei Virpi! Sain juuri siskoltani Kiitos hyvää -kirjan syntymäpäivälahjaksi. Totesin vain että hänpä tuntee minut liian hyvin - lahja osui kuin nyrkki silmään. Olisipa hienoa jatkaa tällä kirjalla kokeiluja :) Namnam ja kiitos jo aiemmista hyvistä! Kiitos ihanasta blogistasi ja herkullisista resepteistä! Suomenkielistä kirjaa toivon sormet ristissä. Hep! Toiveena ihana kirja suomeksi, kiitos. These look delicious (I love the photo)! Congrats on your book being out in the US- very exciting! Jo pidempään erinomaisia reseptejäsi seuranneena/tehneenä haluaisin kirjan suomeksi. Hei! Kiitos paljosta inspiraatiosta. Nyt etsin sivuiltasia kasvonaamiota, kun heräsin tänään niin varhain, että päätin alottaa päivän hemmottelulla. Olispa ihana kun arpaonni suosisi! Kirjasi on loistava. Olen jo muutamia reseptejä kokeillut. Olisi mahtavaa saada oma kirja. Nyt lainassa kirjastosta. Suomenkielinen kirja olisi haaveena. Kiitos ohjeesta!rnToivon voittavani kirjasi suomenkielisenä. Näyttävät ihanilta nämä <3 Kirjasi olisi parasta syksyyn! I have been waiting (not so patiently) for the release of this cookbook! What an awesome idea! All of your fans are so blessed by your creativity and kitchen genius. Thank you for all you do to inspire and encourage us! Much love! Olen ohjeitasi ja kauniita kuvia katsonut usein nettisivuillasi, mutta kirja vielä puuttuu hyllystä. Suomenkielinen teos olisi mahtava voittaa! I would love to have your book and will most definetly try out these heavenly chocolates! Thank you. I already have the wonderful Nice Cream book, and the new one would be a wonderful addition! 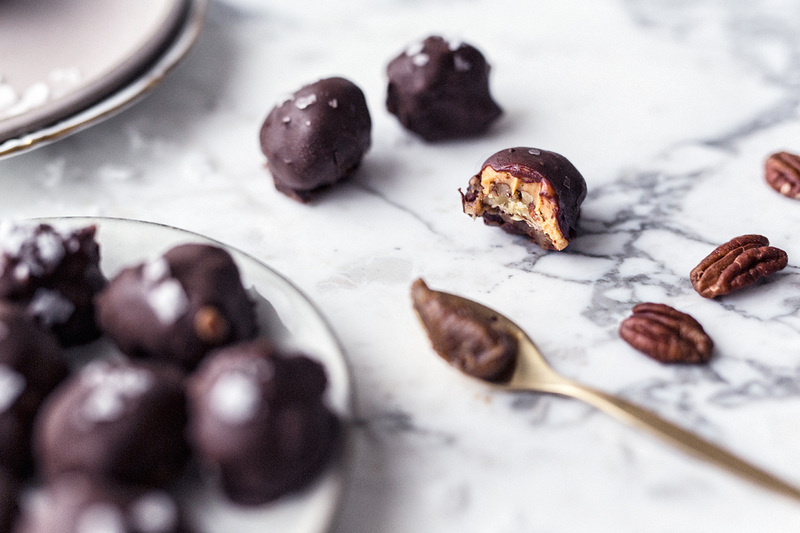 What I love most about your recipes is that I have most of the ingredients already at home, because I try to eat mostly plant-based...healthy indulgence is possible, let´s spread the word! Suomenkielisen kirjan uudet reseptit olisi ihana saada! Vanhat reseptit ovatkin jo tiuhassa käytössä! Oh! Menee heti tänään kokeiluun nää! Ja tuo kirja, sitäkin olen himotellut pitkään! I'd love to have your book! I'm usually conscious about sugar and try to use flour alternatives from time to time but I've been sceptic about not using those ingredients in sweets. You make gluten and sugar free look really yummy and feasible though so I'm looking forward to trying them out! Oispa kyllä ihana ylläri, kummalla kielellä tahansa! Suomeksi kun saisin tämän ihanan kirjan, oisin ikionnellinen! Kaverini tarjosi muutama viikko sitten juuri noita kyseisiä karamellipähkinä suklaita ja rakastuin niihin täysin! Lueskelin samalla kyläily reissulla ihan intoa piukeena kkirjaasi ja otin kuvat parista reseptistä,nyt olen kotona niitä kokeillut ja ovat olleet ihania, kiitos! Oma suomenkielinen kirja olisi siis aivan mahtavaa saada! Oh I would love to win your book, it would be a nice present for my upcoming birthday! Minulle! Olen haaveillut kirjastasi jo pitkään. Mikäli nyt ei onni ole myöten, niin marssin kirjakauppaan. Ihania suklaita! Me! I desperately need this book! I'm a huge sugarholic and I would love to find better alternatives to my cakes and cookies. Thank you! It sounds delicious Virpi!rnBig congratulations for your new book and keep up the good work! I actually have most of the ingredients already to try these. These look decadent. I also think your photography is just beautiful! Kiiitos suloisista resepteistäsi ja mitä mahtavimmat onnittelut kirjan enkkuversiosta! Suomen kieliseen kirjaan koetan arpaonneani. 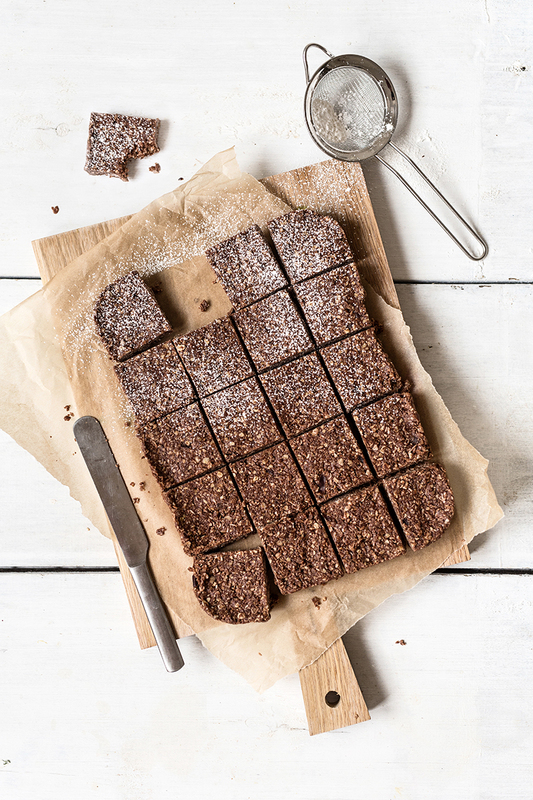 I love making sweets with healthy ingredients that the whole family can enjoy, so your book sounds just perfect! Sun reseptit on niin mahtavia! Lukisin mielelläni englanninkielistä kirjaa <3 Toki suomenkielinenkin olisi mieluinen! 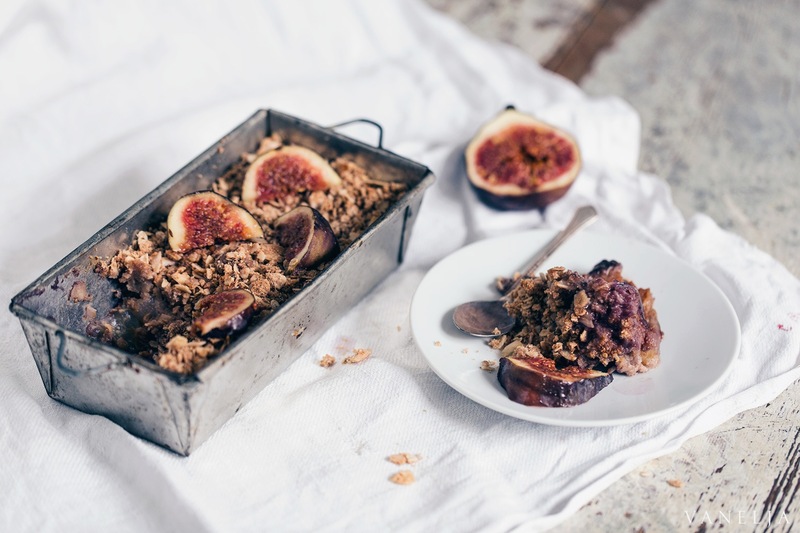 Oh 'it's a pleasure' to see your work finally in English - I've been longing for it for a long time and following the blog for maybe 3-4 years now and i've loved so many of your recipes! I would LOVE to win a copy, i've been hesitating to buy it cos I'm still working my way through the treats in the n'ice cream book! The sweetest pleasures in life are often the easiest to make, this recipe came to me just in time. Can't wait to try making them. Love the title of your book! Oih, olisin erittäin onnellinen jos saisin suomenkielisen kirjasi syntymäpäivälahjakseni :)! Oooh kyllä tahdon kirjan omaksi!! Olisipa mahtavaa voittaa tuo kirja suomenkielisenä! Jostain syystä jäi loput viestistä ulos, mutta ihastuttavasta kirjasta englanninkielinen olisi se, jonka valitsisin! It's a pleasure olisi ihana aikainen joululahja, jos onni ei suosi niin toivon, että joulupukki toisi.. Instagramisi on yksi ehdoton suosikkini ja oon sen ansiosta inspiroitunut sokerittomista herkuista. Suomenkielinen kirja olisi kätevämpi, jotta ei tarvitsisi muutella mittasuhteita. Kirjasi on joululahjalistalla (kyllä, on hyvä varhaisessa vaiheessa kirjata lahjatoiveet, että menee varmasti ajoissa perille ;)), mutta oishan se mahtista voittaa herkkuopus arvonnassa! Sweet as !! 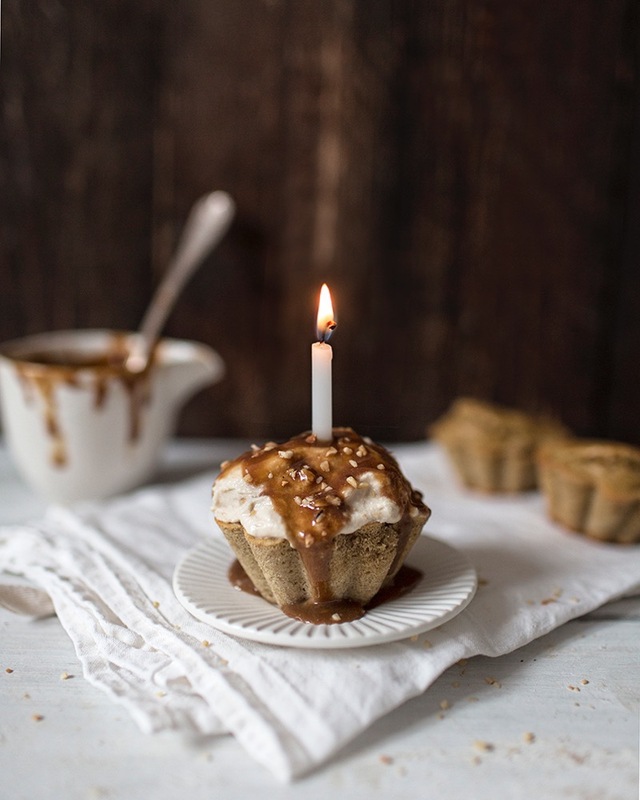 I absolutely adore your wicked imagination and great creativity to create such delicious and yest healthy treats with simple, well chosen ingredients ! The time has come!! 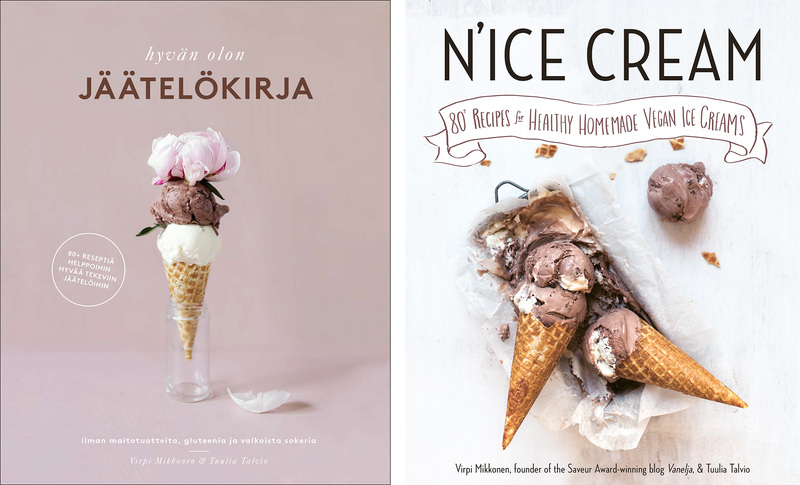 The N’Ice Cream book about healthy vegan ice creams by me and Tuulia has come out today in the US. And I’m over the moon excited! The Finnish version of the book got sold out in a week here in Finland and I hope the international audience will love the English version just as much. Several people have now said to me that the N’Ice Cream book feels like the ultimate summer saver for them, and that makes me sooo happy. Because that is exactly what this book was designed to be. 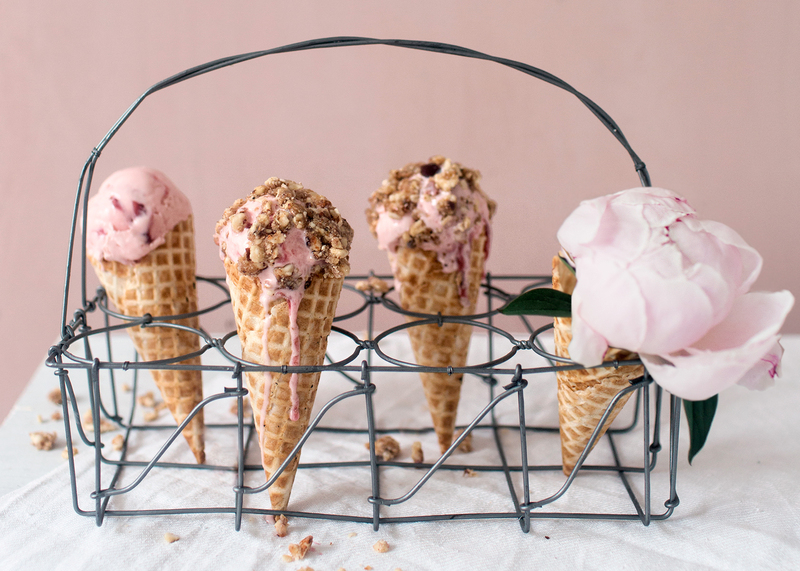 To enable a feel-good summer with healthy, naturally sweetened and gluten-free vegan ice creams, ice pops, sorbets, soft serves, instant ice creams, ice cream cakes & cookies, waffle cones, sauces, jams and all that jazz. And also our very best tips on how to prepare delicious ice cream easily without an ice cream maker. If you like to have more n’ice cream inspiration, come and follow our Instagram: @nicecreambook where we share pics & tips and give shout-outs to peoples beautiful nice cream creations. 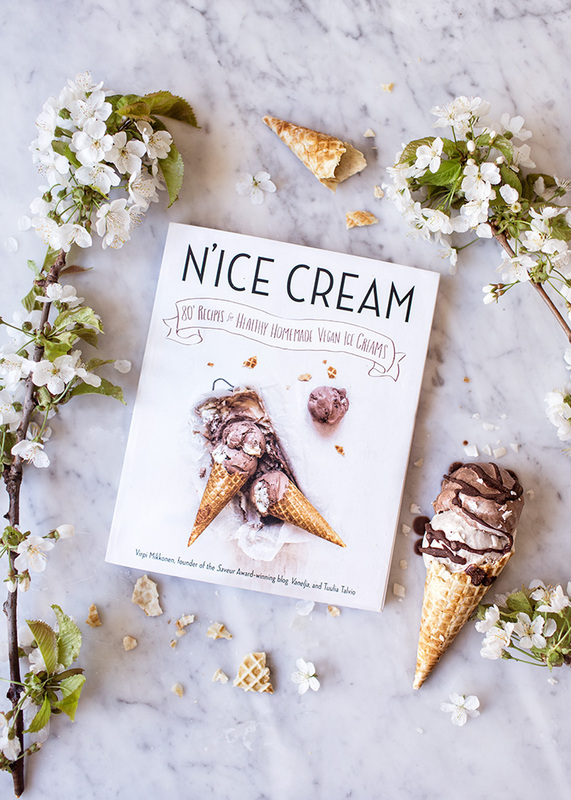 Be sure to tag your n’ice cream photos #nicecreambook and @nicecreambook so that we can see them! 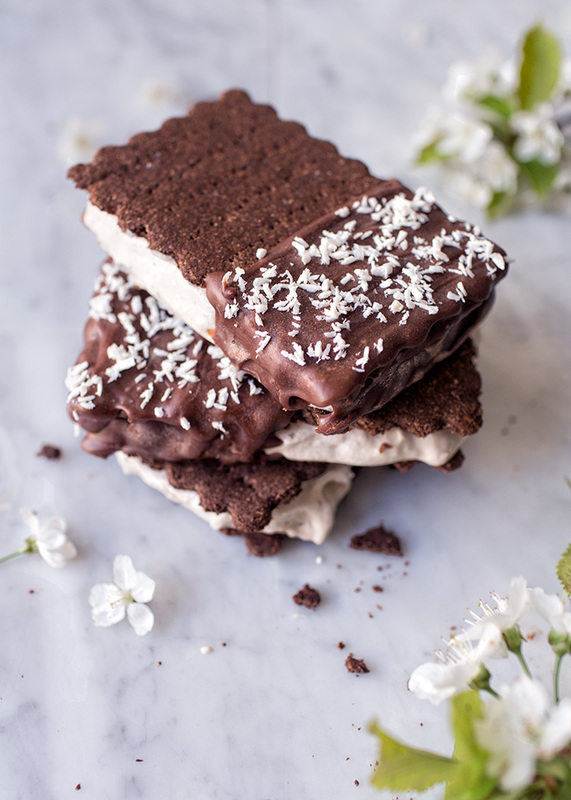 And now, ladies and gents, I'm happy to introduce these treats I have for you: Lovely lovely Vanilla Chocolate N’ice cream Sandwiches that I made inspired by a couple of recipes from the N’Ice Cream book. They just might be the perfect summer snack. And the perfect way to celebrate the launch of our book. Note that you can always just skip the cookies and make the instant ice cream base and enjoy it with this super quick chocolate sauce, if your ice cream cravings won’t wait! And then there’s still one more thing: A giveaway! I’m giving away one copy of the N’Ice Cream book. Just write a short hello and why you would like this book to the comments below and you’re in! You’ve got time to participate until midnight Sunday the 22nd of May. And the giveaway is this time open to US, Canada & Finland. Good luck, my friends! Slice bananas into smaller pieces and put into the blender. Open a coconut milk can and scoop the white thick paste (about 2/3 cup) into the blender with bananas. Add vanilla. Mix until smooth. If your blender is not very powerful prepare the ice cream in two baches. Pour the ice cream mixture in a large freezer-safe tin and freeze for about 15-30 minutes. In the meantime prepare the cookies. Preheat the oven to 175 C / 350 F degrees. Mix the dry ingredients in a bowl. Add water and melted coconut oil and syrup. Mix. The dough should be now easily moldable. Add a bit more water or flour if needed. You should be able to make a big ball out of the dough with your hands. 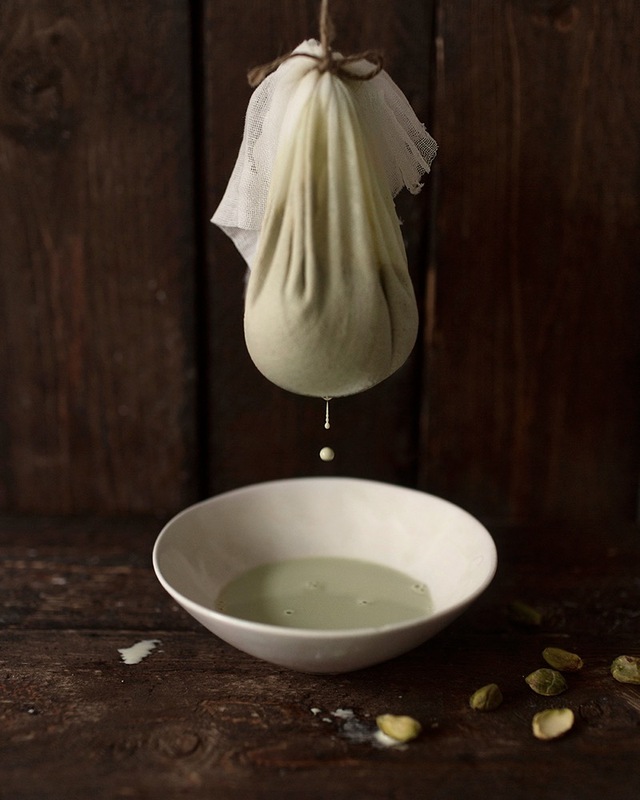 Place a dough ball between two pieces of parchment paper. Roll out to ½ inch thickness. 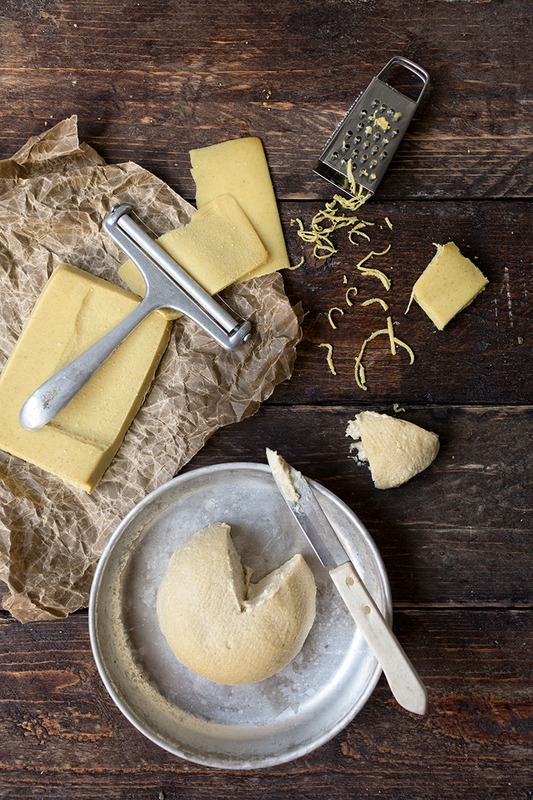 Cut the dough into rectangles with a knife or use a cookie mold. Place the cookies gently on a baking tray covered with a baking sheet. Bake for 8 – 10 minutes. Allow to cool completely. The cookies can be a bit soft when you take them from the oven because they will get crispier as they cool. Mix the melted coconut oil, cocoa powder and coconut syrup in a small bowl. Scoop about two spoonfuls of the ice cream and place it on the back side of one cookie. Place another cookie on top of the ice cream and press down gently. Repeat with the remaining cookies. 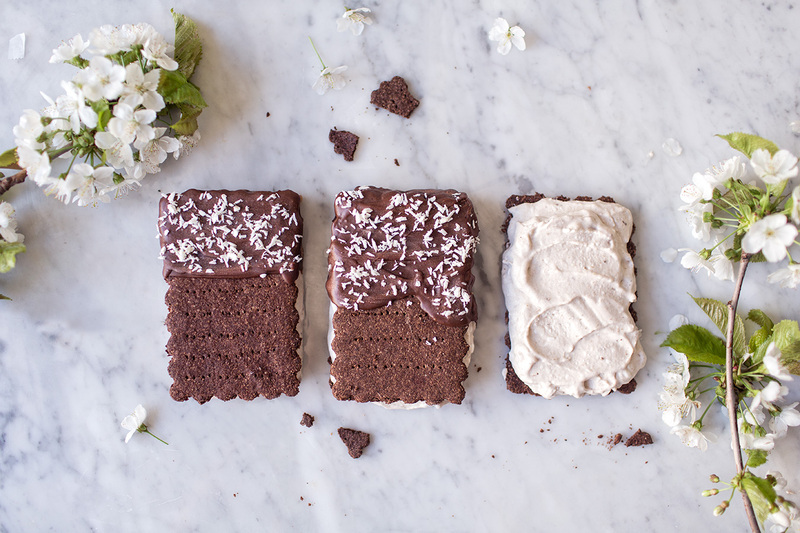 Drip some chocolate frosting on top on the sandwiches and sprinkle some shredded coconut on. Freeze for 30-60 minutes. Enjoy! Hi, just discovered your book this morning and can't wait to get it! Sorry I missed the time for the draw but wanted to say hi! Can't wait to get your book! I would love a copy! For myself to be able to keep healthy but even more for my little son, so I can offer him healthy treats. Nosiis olishan se ihan super mahtavaa voittaa tämmönen kirja, ku oon tässä lähiaikoina alkanu innostua kaikista näistä vegaani jutuista. Mut sen verran uus homma se mulle kuitenki on nii olis super kivaa saada tämmönen kirja josta reseptejä vois kattoa, nii sais sitte myös lisää inspistä siihen kokkaamiseen! I would love to have some new inspiration for raw cooking and serve my friends and family delicious healthy ice creams!! Haluaisin kirjan siksi, että 16-vuotias poikani on sekä innokas englannin kielen että herkkukokkailun ystävä. Tässä yhdistyvät molemmat, joten olisipa tosi kiva antaa tämä kirja peruskoulun päättäjäislahjaksi! Hei, olin valmistamassa kirjan mango-passionhedelmä pehmistä, mutta en tahtonut löytää kirjasta suklaakeksikuppien reseptiä? Resepti piti löytyä sivulta 156, mutta sillä aukeamalla oli vain vohvelikuppien resepti. Mutta ehkä näiden puffettikeksien reseptillä saan tehtyä yhtä hyvän lopputuloksen :) rnOlenko ehkä "sokea" ja löytyykö resepti mahdollisesti kirjan joltain muulta sivulta vai onko se vain vahingossa kadonnut taivaan tuuliin? ;) rnHauskaa kesää! vaniljapuffetit näyttivät niin ihanilta, että jäde on pakkasessa ja keksit jäähtymässä. Pian pääsee maistamaan. Löysin tänne kun himoitsen jäätelöä ja kolmen viikon paaston jälkeen menin syömään kermajäätelöä ja sain vatsani kahdeksi päiväksi niin kipeäksi, etten usko normijädeen kajoavani enää tänä vuonna. Todella herkullisen oloisia reseptejä. Pitää kyllä kokeilla muitakin, iso kiitos niistä. Hello! This book could be the inspiration I need after my vacation full of everything too good that makes me feel sick. OMG, your recipes look so amazing! I just heard of your work today, and am so excited about your recipes. I've had to eliminate so many foods over the last few years after having reached a real health crisis, and I know that dairy, gluten, and refined sugar will never be part of my life again. I'm currently detoxing from heavy metal exposure, and am on a strict program for about another 3 weeks, but when I come off of that, your recipes would be my pleasure oasis after a long drought in the desert. 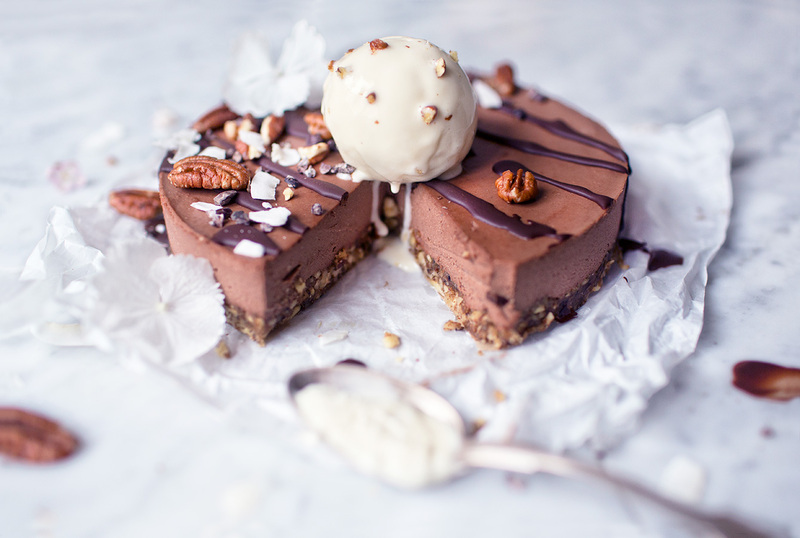 Would love your N'Ice Cream Cookbook! Olen kuullut niin paljon hyvää sinusta ja kirjoistanne. Pakko oli tulla sivuille tutkimaan ja oih mitä ihanuuksia löytyikään! Jätskikirja olisi täydellinen meidän perheessä, lapset tykkäävät tehdä ja herkutella, mikäs sen parempi herkku kuin astetta terveellisempi itse tehty jäätelö. Vegaanisia jääteöitä on niin onnettomasti saatavilla, että jos haluaa herkutella jollain jännittävällä maulla, on jäätelö tehtävä itse. Ideat alkavat loppua. Jäätelökirja tulisi tarpeeseen. Ympäri vuoden oleva Jäätelöhirmu ilmoittautuu arvontaan. Ehdottomasti tulisi kokeiltua reseptit kannesta kanteen. Virpi ja Tuulia, I am a huge fan of you two !rnYour work.. that is so fascinating and sincere. It´s clear that you two are working with pure passion. rnI want to say thank you for your inspiring work.rnrn<3rnrnI really wish I would be the lucky winner of N'Ice Cream book, and if not, I am going to purchase it anyway. ASAP. Because: My summer holiday (part one) starts on Friday !! Olen kova leipomaan joten olisi mukava voittaa kirja. Rakastan jäätelöä ja terveellisä herkkuja, mutta oman luovuuden kanssa tulee aina silloin tällöin rajat vastaan, joten tällainen reseptikirja olisi aivan täydellinen! Something new to enjoy! I would like to try these recipes. My almost 3 year old is obsessed with ice cream .... or should I say "Nice Cream" ... I love how her eyes light up when I bring her a frozen stick of goodness and it makes me smile knowing that her dessert is healthy and working its magic in her growing body. I'm fighting an autoimmune disease myself and having my beautiful little girl and now knowing what I do about health I am determined to teach her to eat the right way and avoid the pain I've been through. Thank you for writing a beautiful book. I cannot wait to get a copy and try them out on Aimée. Imagine if every mother did the same how much healthier the next generation would be. When healthy food is also fun it makes all the difference. Miksi? Miksi?? Koska. Jäätelö on parasta ja terveellinen jäätelö yliparasta. Ihana kirja kaikista näistä blogin mahtavista resepteistä päätellen. Tykkäisin! Rakastan jäätelöä, mutta pari viime vuotta jäätelökone on lojunut kaapin nurkassa ja olen tyytynyt valmistuotteisiin. Uusien reseptien myötä innostuin jälleen koneesta ja nyt reseptejä tarvitsisi lisää. Tää tulis ihan superahkeraan käyttöön itselle ja siskolle, jonka kanssa taiteillaan perusherkuista terveellisempiä vaihtoehtoja! Omistamme molemmat edelliset Kiitos Hyvää-kirjasi, joiden ohjeet eivät koskaan petä! Would love more great tasting vegan options! Haluaisin opetella herkuttelemaan terveellisesti. Entiselle sokerihiirelle tämä oppikirja olisi enemmän kuin lottovoitto! Voi valloittava Vanelja!rnSun jätskikirja sopis just mun kainaloon, koska mä rakastan jäätelöä ylikaiken. Panostukses perusteella niin säkin? Winwin! Vielä vegaanina kaikenlaiseen ruoan näpräykseen ja koristeluun kuluu paljon aikaa niin ehdottomasti tälle kirjalle tulisi käyttöä! Ihania ohjeita sulla! Olisi todella mukavaa saada kirjasi omaksi.. I would love to receive att copy of your book. I've just started some new habits by cutting out sugar,dairy product and gluten. So it would be wondrful to get some inspiration for some ice creams ecspecially since the summer is around the corner!! Avomieheni on hurja jätskirohmu ja hän toivoo usein, että saisi terveellisempää jäätelöä kaupasta. Kirja innostaisi varmasti meitä molempia tekemään itse herkkujäätelöitä. No siksi, että voisin tehdä ja syödä tänä kesänä hyvää ja terveellistä jäätelöä ilman sokeria ja valtavaa määrää lisäaineita. This looks stunning. I've been following you on Instagram for a while and all you create looks beyond amazing. Can't wait to see what's in this book! All the best. Ohjeet tulisi varmasti testiin. Olen yrittänyt vähentää maitotuotteiden ja sokerin määrää, mutta rakastan jäätelöitä näin kesäaikaan :) Näiden reseptien avulla onnistuisi varmasti terveellisemmät kesäherkut! Puffetit on aina ollu mun lemppari jätskejä mutta nämä kyllä näyttää ja kuulostaa paljon paremmalta ;) olisi kyllä unelma saada teidän jätskikirja! Hi! Me and my two girls would love to have this book to be able to make and enjoy delish coolness on hot summer days and comfort delights for dark winter nights. Thank you and looking forward to more good stuff in the future! Oh my, how badly I would like to get that book! I have never made any kind of ice cream and I REALLY would like to try. I haven't got the chance to try yet and I think that book would be the key :)rnrnAnd I'm loving your blog! Just love the idea of healthy icecream. Your pics are just delicious! I love making my own ice cream and will definitely try one of your recipes soon. My dad is the biggest ice scream addict so your book would encourage him/us to make some together! Omg everything you have posted from this book looks so good and beautiful. I have your Kiitos hyvää -book and I love it. Ice cream is part of summer, you need to have lots and lots of it. How super it would be to eat this lots and lots of ice cream in a much more healthy form than the one you buy in the store. Rakastan jätskiä, mutta vatsani ei. Onnea on ihminen, joka omassa viljattomassa vegaanikeittiölaboratoriossaan kehittelee IHANIA reseptejä ja jakaa ne meille, joille ei tuollaista reseptienluomistaitoa ole suotu. Mmm. Haluaisin testata kesän aikana koko kirjan reseptit läpi! Englanninkielisen version avokado-minttusuklaa oli ainakin ihan taivaallista! Kirjan reseptit ovat varmasti niiin herkullisia! Ja olen siirtymässä tässä pikkuhiljaa vegaaniksi ja kauppojen vegaanijätskivalikoimat ovat surkeat. Kirja tulisi todella tarpeeseen. 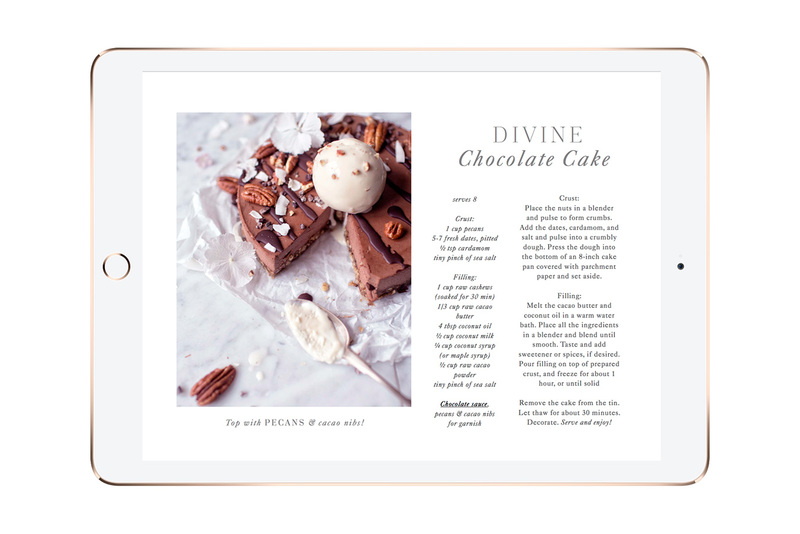 Ice cream is my favorite dessert, but I love making healthy treats, so this book seems like it would be an amazing addition to my cookbook collection that I would use all the time. hi!! congrats on the book. now that is my kind of sandwich. Not having an ice cream maker a book focusing on recipes that don't require one is just what I need. Vatsa ei kestä oikein maitoa, joten tälle olisi käyttöä :) Tosin banaanikaan ei oikein sovi, mutta voisin sitten valmistaa banaania sisältävistä resepteistä avokille vähän terveellisimpiä herkkuja, tyyppi kun syö aivan liikaa sokeria ja rasvaa. Oi toivoisin kovasti saavani tämän kirjan! Kaksi edellistäkin löytyy jo hyllystä ja ovat ahkerassa käytössä. Kesää kohden jätskiä - kyllä kelpaisi! Siis voiko mikään näyttää noin hyvältä!! Voisin elää jäätelöllä, ja nyt te ootte tehnyt siitä mahdollista näiden jäätelöreseptienne avulla. Tää kirja mun on pakko saada omaa hyllyäni kaunistamaan. Himoitsen kirjaa poikaystävälle, joka himoitsee jäätelöä (ja kaupan kasvisjädejen tuoteselosteet on hyvin kyseenalaisia!). Oi en kestä, taas tarjoilet lisää ihania herkkuhetkiä! Molemmat aikaisemmat kirjasi olen hyllyyni hankkinut ja ihastunut ja kyllähän tämäkin pitää saada, varsinkin näin kesän korvilla. Kiitos, kun teet ja inspiroit! Sain äitienpäivälahjaksi Kiitos hyvää pikaruokaa, ihastuin. Olisi ihana tehdä jäätelöä sinun resepteillä tyttärille varsinkin kun toinen tyttäristä on maidolle ja kananmunalle allerginen. Kesälomalla näitä ihania tekisin ja mökin verannalla nauttisin. Lapsetkin varmasti tykkäsivät näistä herkuista! Nämä kaikki siun tekemät näyttää niin ihanilta. Yritän juuri lapsia opettaa eroon sokerista ja tämä kirja olisi hyvä apu siinä. Varsinkin teinipoika joka on hankalia, voisi itse kikkailla näitä ihanuuksia. I would love to have this to offer my girls something better than ice creams from grocery store. I love ice cream but lactose free ice creams aren't so tasty, not in Finland anyway. Good luck with your book, looks beautiful and tasty! Kesällä mikään ei oo parempaa kuin jäätelö, paitsi ehkä ns. hyvä jäätelö, joten kirja olisi kiva. :) Ei haittaa, vaikka vettä tulisi taivaan täydeltä, aina on hyvä päivä syödä jäätelöä! Paatunut sokerirotta ilmoittautuu! Kirja tarjoaa parempia vaihtoehtoja kesän herkutteluihin. Your recipes & pics are really inspiring, I'd really love to have this book! 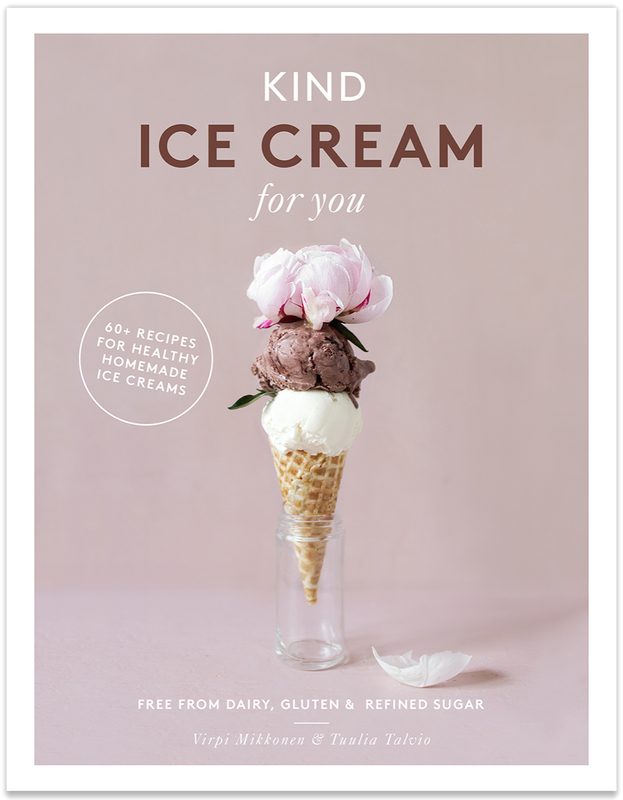 I need this book - we are vegans and I want to make our toddler these yummy looking ice creams this summer to cool on a hot day! Hello from a fellow foodie from Orlando Florida! Being vegan, it's hard to satisfy my ice cream cravings! Id love to learn more about how to make different nice creams! Loving this idea! This looks like a delicious way to treat yourself! Thanks. Ihanaa, että vihdoin sokerittomia ja täyteläisiä jätskiohjeita on koko kirjallinen! Tälle on ollut suuri tilaus ainakin meillä! Jäätelö on parasta herkkua, joten mukana arvonnassa. Olen fiilistellyt kirjaa niin kauan kuin olen tiennyt sen olemassa olosta. Kirja on kaunis, kekseliäs, inspiroiva ja sitä tulisi varmasti käytettyä. Ruokavalioni muuttuu entistä terveellisempään ja kehoa ravitsevampaan koko ajan, ja tämän toteuttamiseen tämä kirja olisi myös omiaan. Sen avulla voisin edelleen tehdä keittiössä suussasulavia herkkuja. Kirja on todella toivottu! I would love to have your new book as I really don't like store bought ice cream because of all the s**t they put in them.rnrnAnd your pics are beautiful! Antaisin kirjan ystävälleni, jolla on jauhopeukalo! Kirjan inspiroimana voisin tehdä koko kesän hyvisjäätelöitä viilentämään rankan työpäivän jälkeen ja viikonloppuisin järjestää jäätelökemuja kavereille. Hello!rnrnI am waiting for the summer so baskit and your book is perfect for all those healthy and yummy summer treats. I have been struggling for the couple weeks to order or not to order your book. Rakastan jätskiä ja olisi ihanaa saada näiden terveellisempien jätskien ohjeita! Taatusti tulisi pruuvattua kaikki reseptit. Looks just divine! I adore your work. You are one true wizard. Yum, the new book looks delicious! Huge congrats. The two previous books have helped me a lot in the kitchen, and I am sure that this latest one would do the same. Thank you for sharing your wonderful recipes with us! I will definitely try these, as my boyfriend always would want these icecream sandwiches, but can't eat them for the milk. Would love to surprise him with a whole book! OMG! I'm just loving this idea of combining nice cream with cookies!! And I would also LOVE to have your book, as I am the biggest ice cream fan! maitovammaisena kauppojen jäätelötiskit ärsyttävät, kun irtojäätelövalikoimissa on aina kaksi mahdollista vaihtoehtoa valinnalle, jos sitäkään. olisi siis kiva päästä kokeilemaan uusia reseptejä jäätelöhimoon, joka iskee aina näin kesän korvilla. Olen viimeisilläni raskaana ja himoitsen kylmiä ruokia ja jäätelöä mielelläni päivittäin. Ja koska jäätelöä ei vaan voi syödä joka päivä, niin on onni että hyvisjätskiä voi! Siksi siis kirja tulisi enemmän kuin tarpeeseen. Lisäksi lapselleni tulee hampaita, ja olen ratkaissut aamupalan ja iltapalan jo nyt banaani-marjajätskillä, jota kaksivuotias lusikoi suuhunsa onnellisena. Jäätelö on parhautta! Kuvat ovat aina niin herkullisia, haluaisin kirjan jo ihan niiden takia. I love your work, you're my idol! I have already preordered your book, can't wait to have it! Would be so nice to give a copy to a dear friend for her birthday. Tämä kirja olisi loistava itselleni ja myös kummipojalleni, joka ei voi käyttää maitotuotteita missään muodossa. Voisin tehdä hänelle kesäksi ihania jäätelöitä. Ulkomailla ystäviä,olisi mukava yllätys ainakin yhdelle jäätelön suurkuluttajalle! Nurena söin paljon jäätelöä ja sitten se jäi. Haluaisin syttyä uudelleen tälle herkulle. Tää kirja olis niin ihana, olis ihana herkutella luvan kanssa.. The hottest – or should I say the coolest cookbook of the summer is now available for PRE-ORDER! And – there is a magnificant pre-order gift, too! Hooray, it is really happening, my friends! I’m so happy to launch this! So as I mentioned in my previous post, N'Ice Cream – the healthy vegan ice cream cookbook by me and Tuulia Talvio will be out May 17 by Avery Publishing, Penguin US. 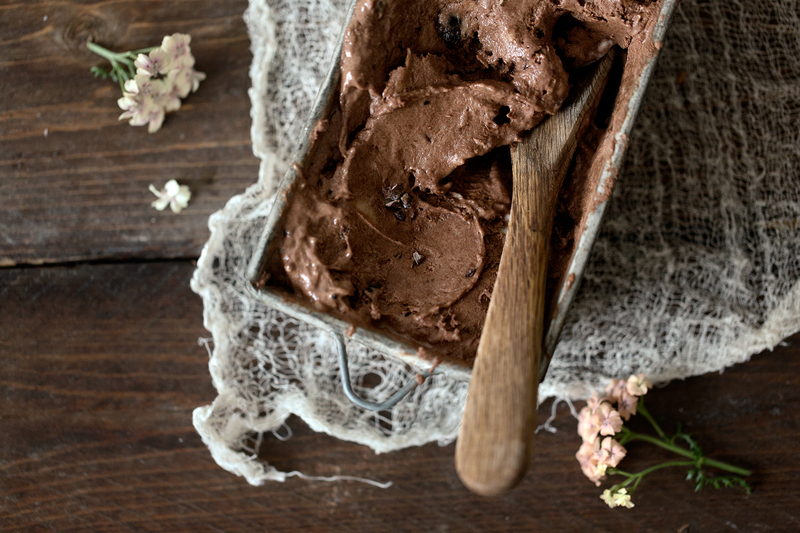 There’s gonna be over 80 delicious recipes for healthy vegan ice creams without gluten, dairy and refined sugar. …Creamy ice creams, ice pops and sorbets, instant ice creams, ice cream cakes & cookies, waffles, sauces and jams, you name it. 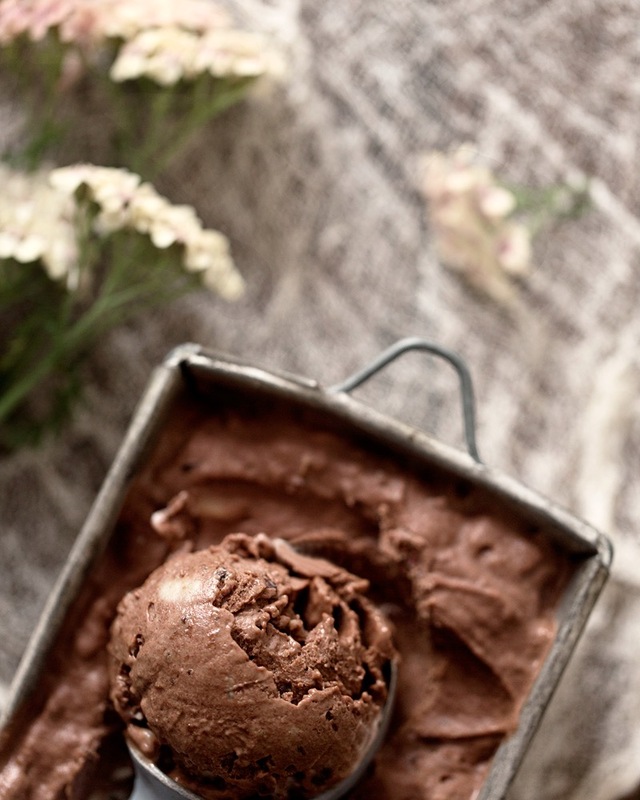 THIS BOOK covers it all when it comes to wholesome ice creams! 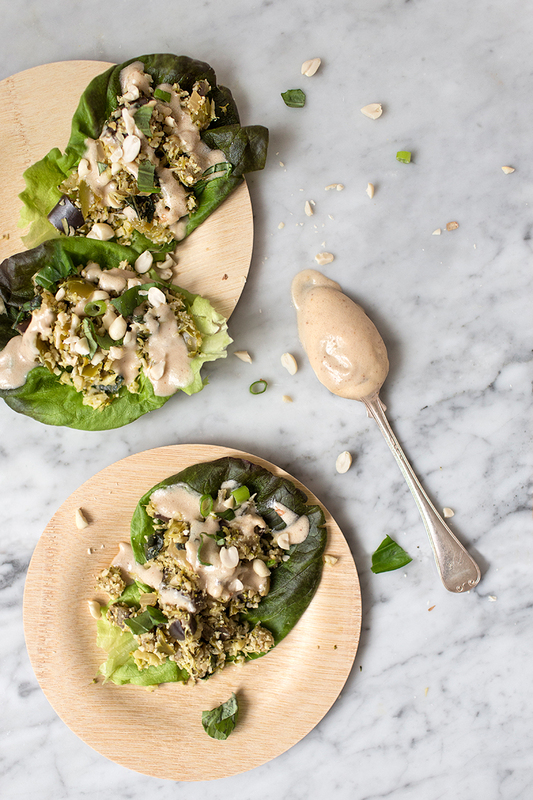 GATHER e-book with over 30 recipes for your wholesome, easygoing, plant-based summer parties. Oh yes, baby, it is true! 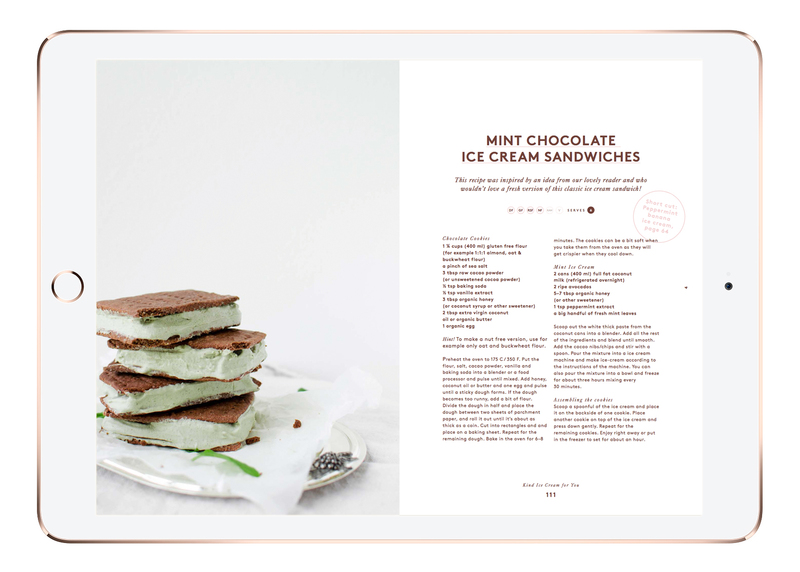 By pre-ordering N'Ice Cream now you'll get this luxurious digital cookbook totally FREE. (Or if you’ve already pre-ordered the book – Thank you! – the offer includes you too.) Gather is not available in any other places so pre-ordering is really the only way to get your hands on this summery piece. 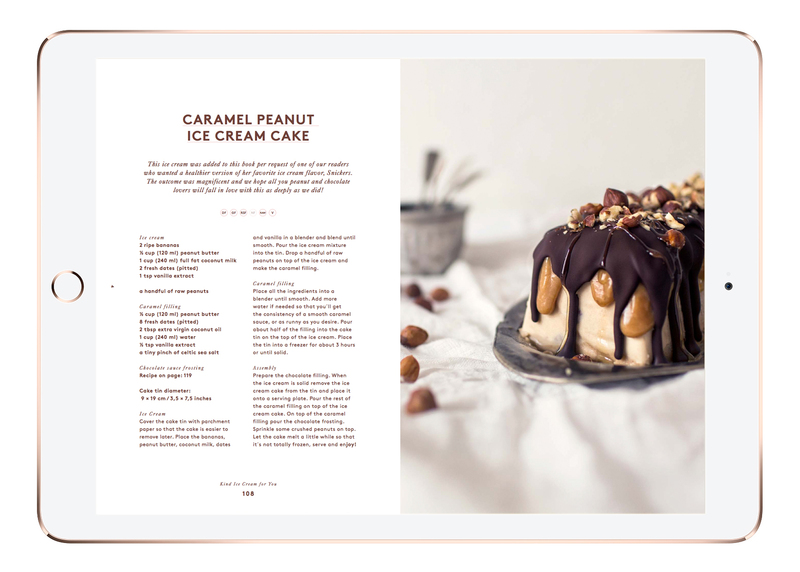 And note also that the gift book comes as a pre-order gift only with the N'Ice Cream cookbook, so it is not included with the Finnish version, Hyvän olon jäätelökirja, which will be out in stores in Finland already in about 2 weeks. 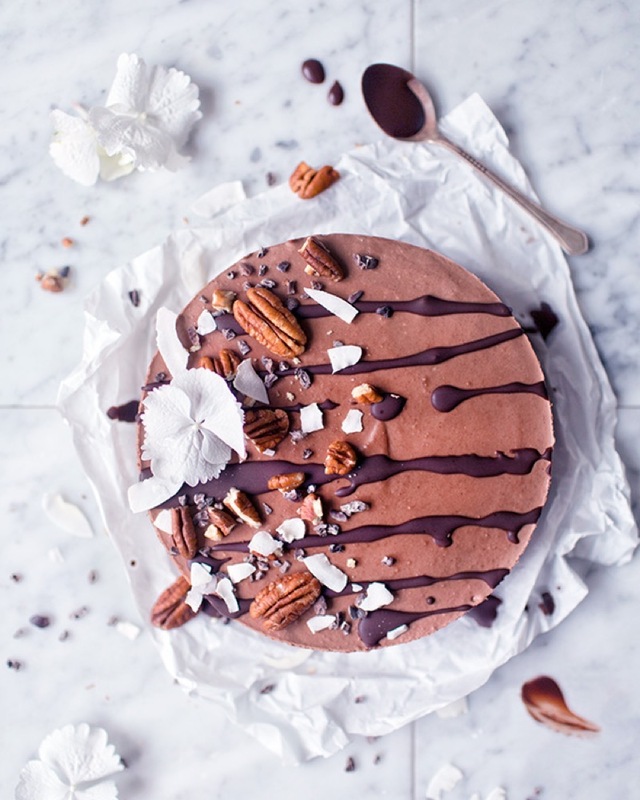 The book includes recipes such as Falafels & Cashew Sour Cream, The Vegan Party Platter, Flaxseed chips & Creamy Dip, Sweet Potato Mini Pizzas, Nut-free Blueberry Pie, Divine Raw Chocolate Cake (presented below! ), Apricot Cookies and Nut Fudge, Summer Pancake Cake, Brazilian Lemonade, Melon & Lime Aqua Fresca and many many more! And note, that all these recipes are totally new and original, not posted anywhere else before. 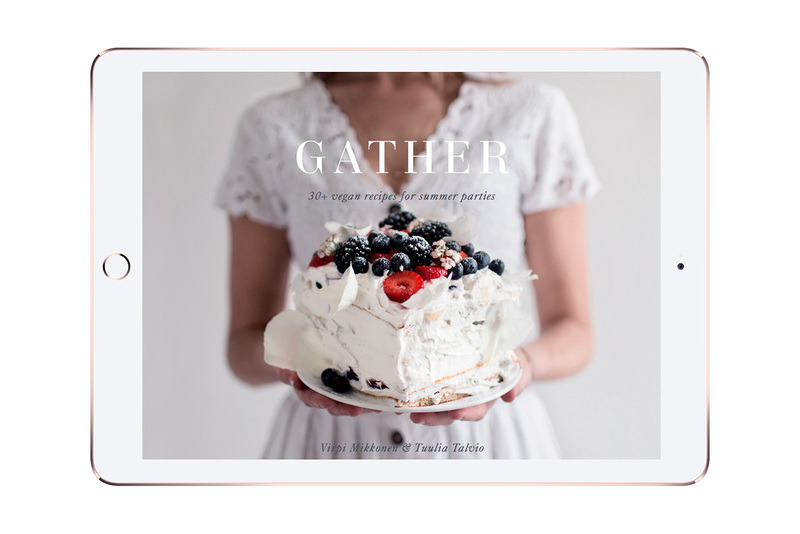 Check out more about Gather e-book and how to pre-order and get your gift HERE. 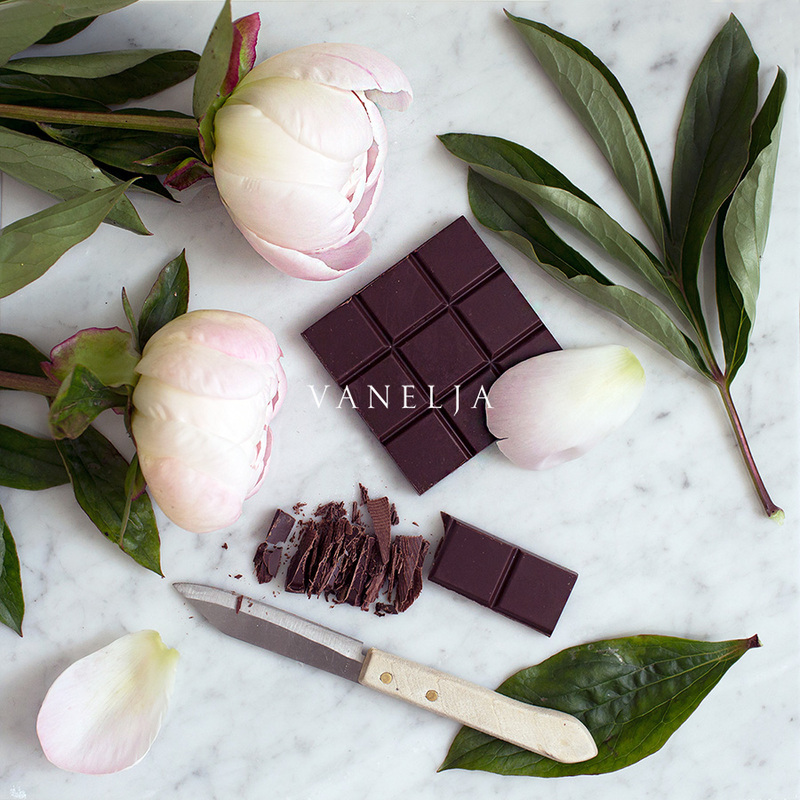 Oh and hey, I recommend warmly to subscribe to Vanelja’s newsletter asap, as there is coming some great weekly giveaways, bonus recipes, playlists and everything wonderful to get you in summer vibes & ice cream mood! 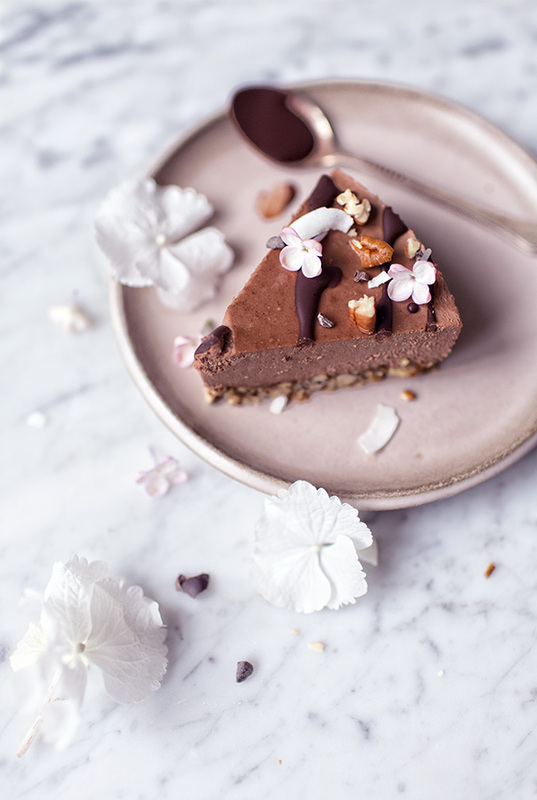 And before I leave you to enjoy the Divine Raw Chocolate Cake from Gather I have to say that we are AMAZED by all the support we have been getting from people to help to spread the news about this book. From people we know and from total strangers too! We are grateful for all the help we can get to spread the word of n’ice cream and healthy ice cream revolution. If you feel like you would want to help in any way we would be so so happy! Like by sharing this post, the N’Ice Cream preorder gift, N’Ice Cream Instagram posts or anything else. Or if you are a blogger and would want to share some ice cream tips, some photos, bonus recipes or a small feature / interview, please send us an email to nicecreambook@gmail.com and we’ll got you covered! And now, finally. The cake. 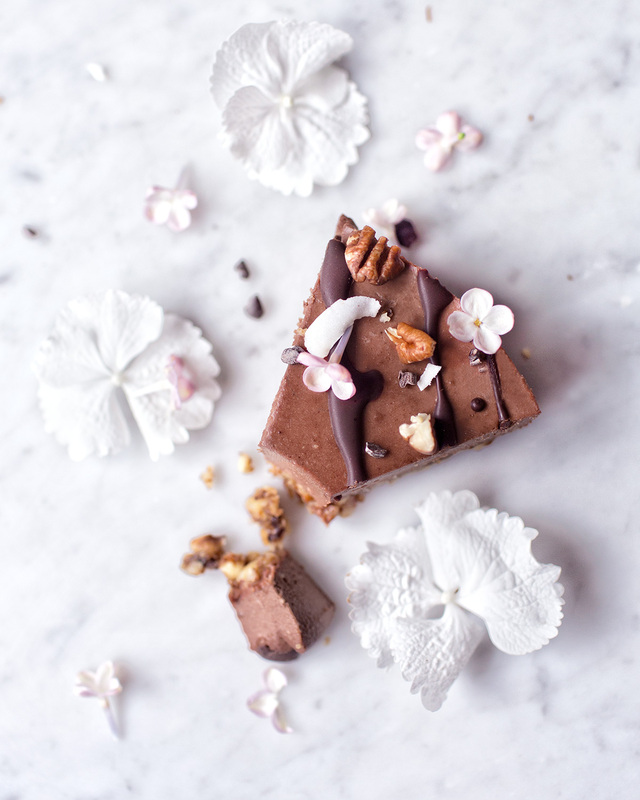 The Divine Raw Chocolate cake. It is a-bliss. Please enjoy! Chop the nuts in a blender. Wash dates and remove the stones. 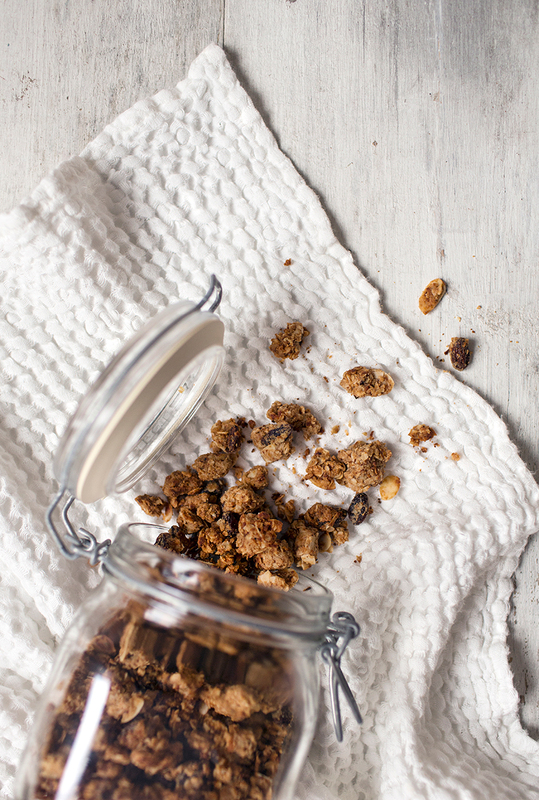 Add dates and cardamom with nuts and puree into crumbly dough. Press the bottom of dough on the bottom of the cake tin. 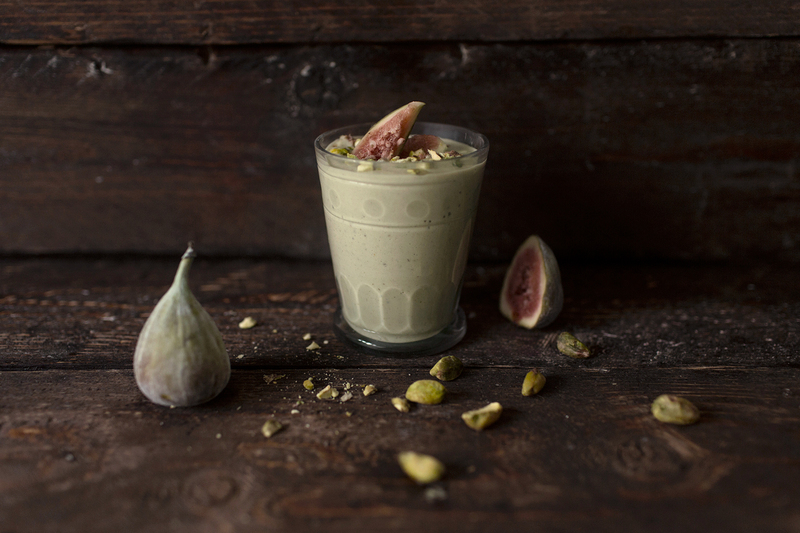 Mix all ingredients in a blender until you have a smooth creamy mixture. If needed, add more coconut milk to get smoother texture but still keeping it as thick as possible. Taste and add seasoning or sweetness if desired. Pour the dough into the cake tin over the crust and put the tin into a freezer for about 30 minutes. Combine all the ingredients in a small bowl and stir to combine. 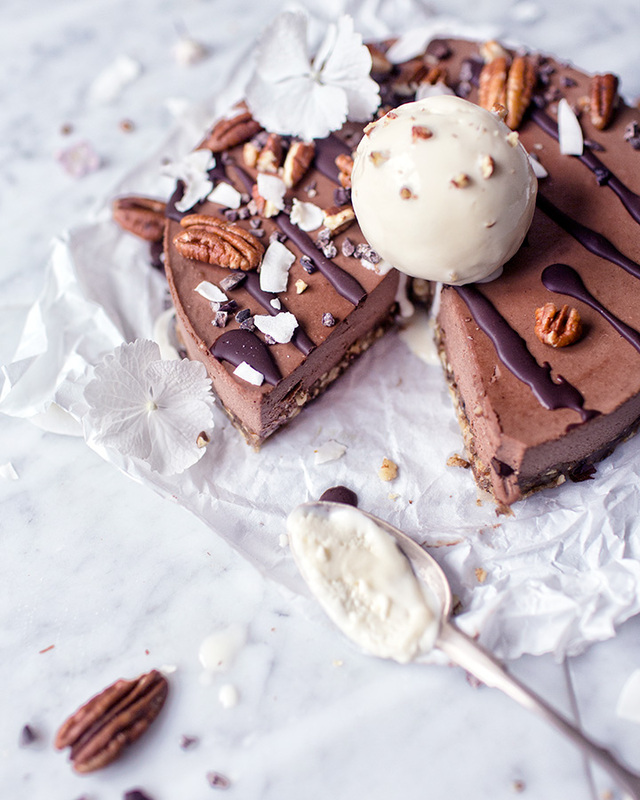 Drizzle on top of the raw chocolate cake. 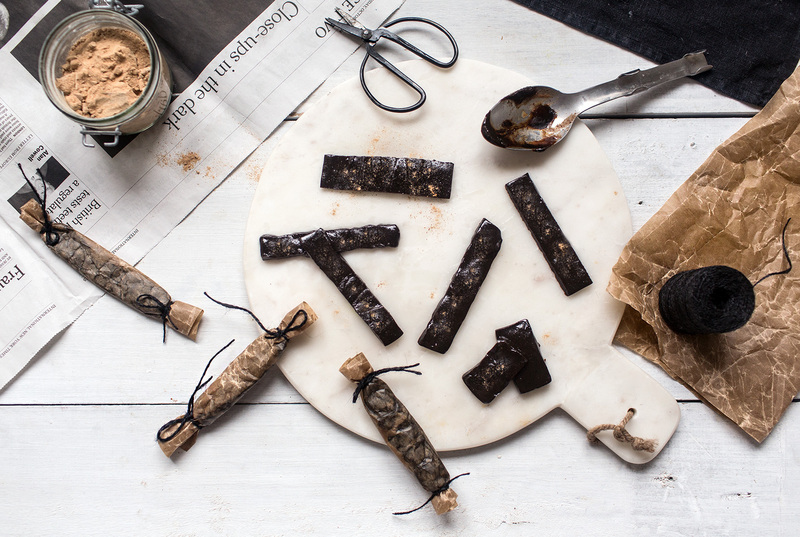 Decorate with nuts, cacao nibs and coconut flakes. Try also fresh berries and n’ice cream! Serve and enjoy! Beautiful plating and the cake looks delicious. Glad I found your blog. As someone who is dessert and baking challenged just looking at your desert page is giving me a lot of inspiration. Tämä lähtee tilaukseen ja lahjaksi parillekin Jenkeissä asuvalle kaverille! Hyvä hyvä! This is great! My summer is now totally saved! :D :D THANK YOU! The pink plate is so beautiful. Could you tell me where it is from? Thank you! Heippa!rnOlen ihastunut blogiisi ja haluaisin kovasti kokeilla eri reseptejä, mutta näin tavallisena kotiäitin retaleena en tiedä mistä nuita erikoisempia ruoka-aineita voi ostaa? Kuten tämän reseptin kaakaovoi, raakakaakaojauhe ja kookossiirappi.rnrnKiitos ja onnea uudesta kirjasta! Moikka Heli!rnrnKaakaovoita, raakakaakaojauhetta ja kookosiirappia (tähän käy makeuttajaksi myös kotimainen luomuhunaja) voi ostaa hyvinvarustelluista marketeista tai luontaistuotekaupoista. Tai tilata netistä (esim Puhdistamolta: http://www.puhdistamo.fi/puhdistamo/kaakaovoi.html).rnRiippuu toki vähän missä asuu, mutta ainakin Helsingissä kyseisiä aineksia jaa jo tosi kivasti ihan pienemmistäkin lähikaupoista. rnrnToivottavasti löydät ja pääset kokkailemaan! :)rnIloa kevääseen! Ok, wow. Do I have some BIG news for you people. Big, creamy, delicious and heavenly news. And yes, it is about ice cream, and it is about books. As I bet you guessed already from the photo. So, remember the e-book about healthy ice creams we did last summer with my friend Tuulia, that was called Kind Ice Cream for You? Yep, the cute little pink book that became surprisingly popular during the summer. Well, we thought that the e-book would have been just a nice little summer project for us, but life had bigger plans for it. As it happened, one brilliant book agent found our e-book through my friend Jessie’s blog post (Jessie, you girl are pure gold! I thank you from the bottom of my heart for writing that post!) and asked if me and Tuulia were interested in making an actual book out of our e-book. And oh-my-god, OF COURSE we were! So one thing lead to another and now I am SO PROUD and SO HAPPY to announce that our cookbook about healthy vegan ice creams is gonna be out in the US in May 17th and it goes with a name N’Ice Cream. The publisher of the book is the ever so lovely Avery, part of Penguin Random House which is one of the biggest book publishers in the world. So there we are now with our ice creams sharing the home with Nobel prize winners and biggest best-sellers in the world. So crazy. So so crazy amazing! N’ice cream, I scream, everybody screeeam! There you can see the cover of N'Ice Cream on the right hand side on the first photo. That one is gonne be seen in bookstores all around North America and Canada. The cover photo on the left hand side is from the Finnish edition called Hyvän olon jäätelökirja, that will be out in the middle of May in Finland through Cozy Pyblishing. So it’s gonna be healthy, vegan and super easy ice creams for all the people around the world soon! And we are just so overly excited here and can’t wait them to come out. We feel we have done something revolutionary with this piece and that the recipes in the book have an actual potential to make this world a little better place. Maybe we’ll too get a Nobel nomination from it. Haha! But really, as Don Kardong put it: "Without ice cream there would be darkness and chaos." So ice cream IS plain good, and healthy ice cream is even better. I can tell you that there is going to be a super duper nice gift for people who will pre-order the book and it will be the perfect companion to N’Ice Cream. But more about it next month! Also, be sure to sign up to my NEWSLETTER because there’s gonna come some brilliant material to subscribers during this spring. And finally, before I wrap this up, I want to thank deeply everyone who supported us with this project in any way, purchased our e-book back in the days and shared the love – there's some good karma coming your way! So, we are living wonderful times, my friend, and the upcoming spring is gonna be filled with possibilities for all of us. Lets keep the light up! Moikka!rnrnTämä ei liity tähän postaukseen kuin tavallaan :) Mikä toimisi niissä jäderesepteissä joissa olet käyttänyt kananmunaa kun tahtoo vegaanisti kokata? Banaani? Entäpä kookosmaito. Oletko kokeillut saako tiivisteköntästä yhtä kelpon? Olen käyttänyt sitä pähkinättömissä raakakakuissa kookosmaidon jähmeän osan tilalla (ettei tarvi niitä tölkkejä ostella!). Mulla on Amaizin organic creamed coconuttia ollut. Kiitos jos jaksat vastailla! So happy for you two! And still so in love with the e-book as well! Yay! Thank you for your sweet comment Ingrid! :)rnHave a lovely day! Hei! Mahtavaa kuulla, suomenkielistä odotellessa! Kaksi edellistä kirjaakin ovat olleet täällä tykättyjä :) Uusi rakkauteni on minttuinen tuorehernekeitto sekä mustikka-inkiväärituorepuuro, jota buustaan vielä maustamattomalla riisiproteiinilla.rnrnEilen valmistin ensi kertaa lakritsilla säväytettyä anis-viikunakeksejä. Tässä pohdin, kuinka tähtianiksen saisi kätevästi jauhettua/murskattua? Käytin puolisen tuntia sen murentamiseen sormin ja sain aikaiseksi silti hieman liian vähän, vain noin 1/2 rkl. kiitos kaunis. :) ihana tietää että odotellaan! :D good to know! rnhave a lovely day! Congratulations Virpi! This is such a great news! I'm loving your recipes and can't wait to see this book in English. rnKeep up the good work! And wow, what beautiful blossoms have I been able to witness during this first year! I have been just amazed by all the opportunities, connections and people life has sent through my blog. During this year I have made great new friends from different parts of the world, I have also made 3 cook books (insane, I know! do not try at home), been featured in international media, websites and blogs, been picked by Instagram to their suggested users list, been nominated in the Saveur Food blog Award and actually winning the award in the Best-designed blog category. And then there are also some huge huge things I can’t yet talk about that have started to seed during this year. 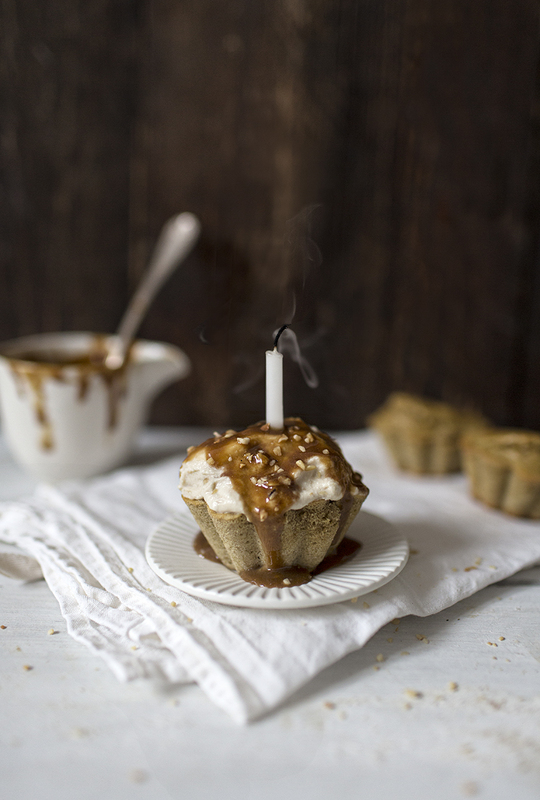 And I’m also going to make lots of these delicious banoffee-muffins, which you should try also. They too taste like a dream. Preheat the oven to 350 F degrees / 175 C degrees. Grease the muffin cups. Place all the ingredients into a blender and blend until smooth. Pour the mixture in muffin cups and bake for about 15 minutes. In the meantime prepare the caramel sauce and frosting. When muffins are ready, take them out from the oven and let cool. 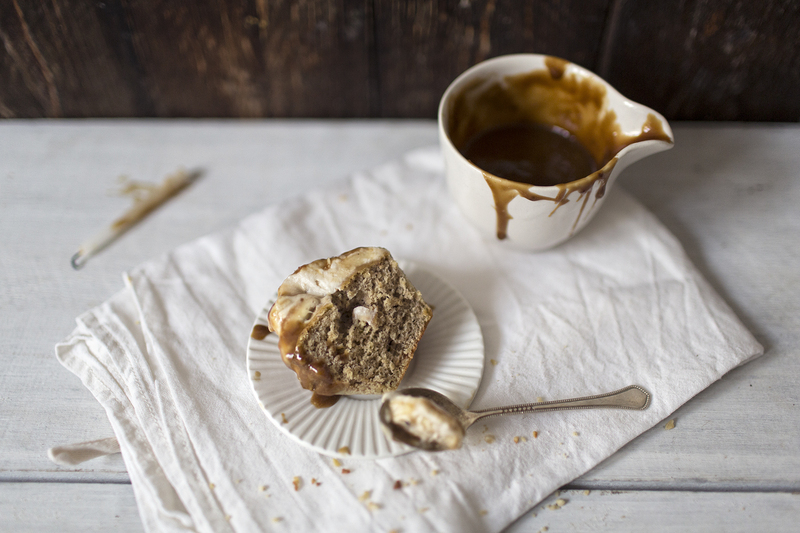 Spoon some frosting on top and pour on some caramel sauce. Serve and enjoy! Open the coconut milk can and scoop out the white thick paste in a bowl. Add peanut butter and honey. Whip until fluffy. Fold in the banana pieces. 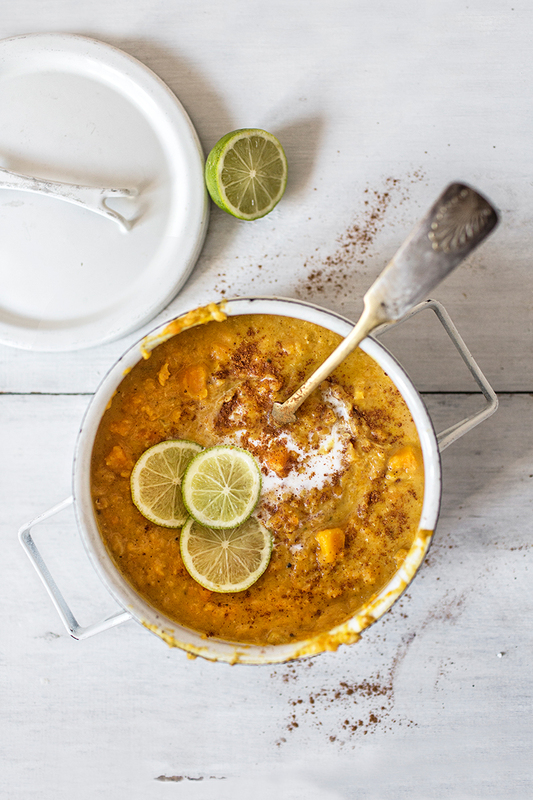 Place the coconut sugar and coconut milk in a pan. Stir gently on a medium heat until the mixture is well mixed. Let the sauce simmer on low heat for about 15 minutes until the sauce starts to thicken. Remove from the heat and stir in the vanilla extract and salt. Store in a glass jar in the fridge and use within two weeks. Herkullisia muffinseja ja hitsi miten kaunis sivusto! Paljon onnea tosiaan iki-ihana Vanelja! Onnea, onnea! <3 Kaiken hyvän ja kiitoksen oletkin ansainnut, niin kauniit, inspiroivat ja herkulliset sivut olet luonut. Odotan aina innolla ja uteliaisuudella uusia postauksiasi. kiitos paljon! ihana kuulla että postauksia odotellaan! ... ja sitä saakin nykyään tehdä melkoisen pitkään. :D sen verran harvakseltaan kun on ehtinyt nykyisin päivittelemään. Onnea Virpi ja Vanelja! <3 Paljon on hyvää takana, mutta niin on edessäkin. Valosta valoon. One of the most traditional ways to celebrate something here in Finland is to make coffee and serve cinnamon buns. That old school serving suits all types of parties and in every occasion. 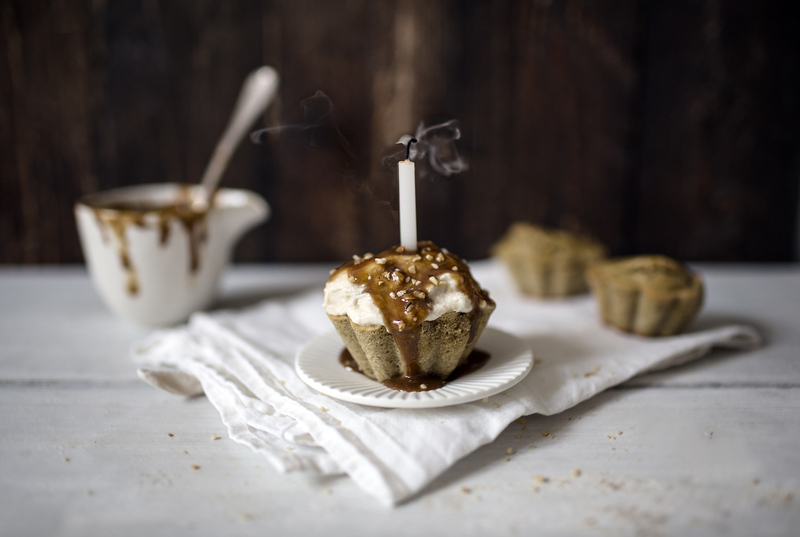 A baby is born – coffee and cinnamon buns, you win a lottery – coffee and cinnamon buns, someone dies – coffee and cinnamon buns, your blog is nominated in The Blog Awards Finland in the Health and Wellness category – coffee and cinn.. Wait, no. 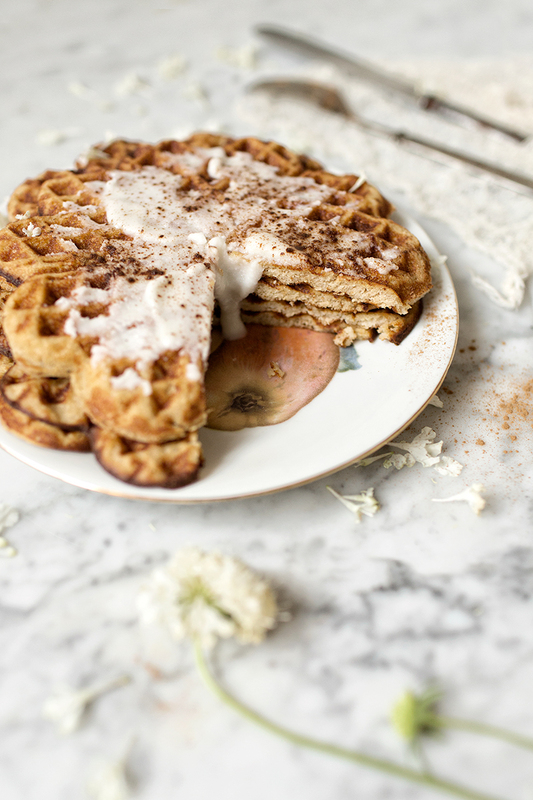 Actually then it’s not coffee nor cinnamon buns, but healthy cinnamon bun”ish” waffles! The exception proves the rule. So here I am with my not-so-traditional but yet so-very-delicious cinnamon bun waffles as it indeed happened that my blog got nominated in the Blog Awards Finland in the Health and Wellness category. Yay! The nomination in that specific category made me took a stroll down memory lane and look back to where I started, which was five years ago in my former Finnish health blog called Kiitos hyvää. Kiitos hyvää was a blog mainly about well-being and “high quality life”. In that time I was very deeply into all kind of nutrition stuff, different methods of measuring health and gaining better health, raw food, superfood, super this and super that. I was truly and totally a health nerd. All that super health hype feels kind of funny to me nowadays, but it was an adventure I had to take in order to get here, into more peaceful and calmer place. It is very relaxing when you realise that the purpose of your life is to serve only in a way that brings great joy to yourself and others. Not to battle and strive. That is the reason I nowadays post only easygoing inspiration and nice recipes and not try to convince anyone of what is the best diet or how should others live their lives. I don’t have clue, only a delicate and occasionally fading hunch on how to live my own. But that’s how life, health and wellness are, delicate and constantly changing things that escape exact definitions and are not bound to one truth. My truth today is happiness and gratitude for being nominated in the biggest Blog Award in my country. 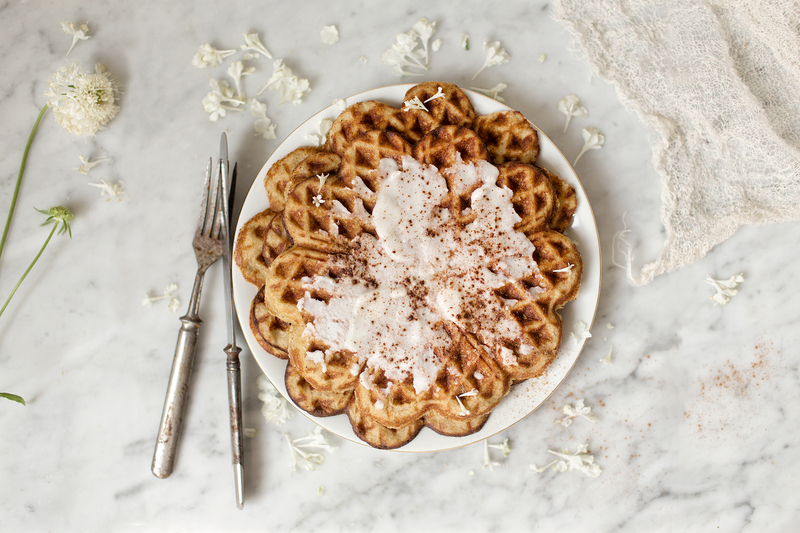 And from that happiness I channel these cinnamon bun waffles to you! Thank you for being there, friend. Mix the dry ingredients in a bowl. Take another bowl and add eggs, coconut milk, coconut oil and vanilla extract and whip gently until slightly foamy. Mix with the dry ingredients. 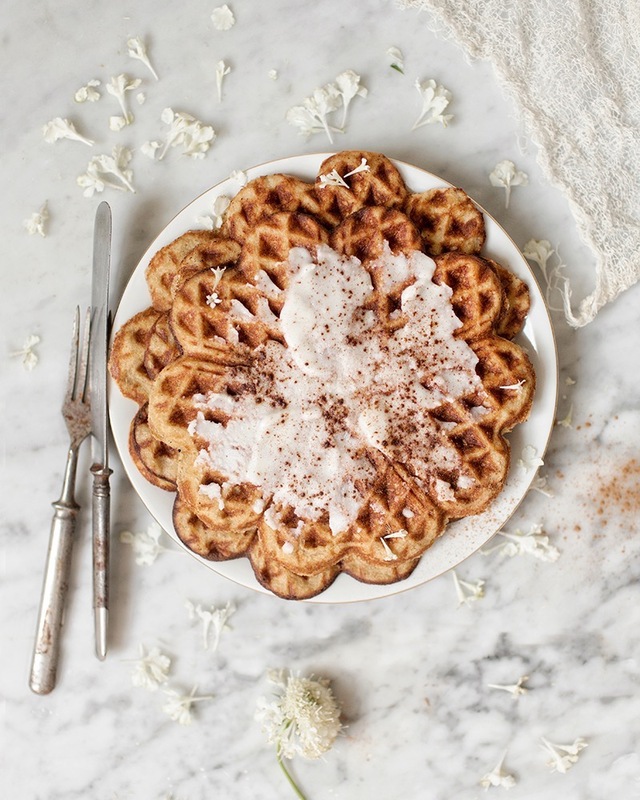 Brush coconut oil into the surfaces of the waffle iron. Pour mixture onto hot waffle iron. Cook until golden brown or prepare waffles following the instructions of the manufacture. Serve with coconut butter and cinnamon or with banana slices, peanut butter and whipped coconut cream. These look so delicious...I know my children will love these waffles. In fact, I might start eating breakfast again! Moi! Aivan ihana resepti, kiitos tästä! Mutta yks juttu, ois tosi kiva jos viittisit laittaa noi mitat deseinä :) mut tää menee testiin tänään. heheh, hybridipä hyvinkin! :Drnja tattista vaan! Entä jos ei oo vohvelirautaa? Onnistuskoshan nää paistinpannulla lettutyyliin? I have to say my life is super full at the moment. Actually even a little bit too packed for my taste. My calendar is full with work, meetings and photoshoots, my hands are full with things to do both in home and also in work field, and my head is crowded with stuff I need to remember and take care of. Surprisingly, even though it usually never goes together with a hectic life, my heart is full also – and it is just bursting with gratitude! One reason for that is this unforgettable incident I had last week in New York at the Saveur Food Blog Awards where Vanelja was nominated as one of the finalist. And you can’t believe this – the craziest thing happened: Editor’s Choice for Best-designed Blog! As in Vanelja was picked to be the winner by the editors from the almighty Saveur magazine! high-fives with my graphic designer friends Leena Oravainio & Lotta Niemien who helped to build this site and with all you followers, readers and lovely friends and supporters! You guys made this happen! It is such a huge honor and such a recognized award that I am still totally overwhelmed and it is still hard for me to understand that it actually happened. The whole event, the award, all the amazing people and fellow bloggers I met. The whole experience was like from a dream. Especially when I was totally jet-lagged and was feeling quite surreal even in the first place. So now, we need to party. Because that's what we people do when something big comes our way – we celebrate and throw a party to mark these big happenings and changes in our lives to somehow make them feel more real, right? First we ask someone to pinch ourselves and then we party. 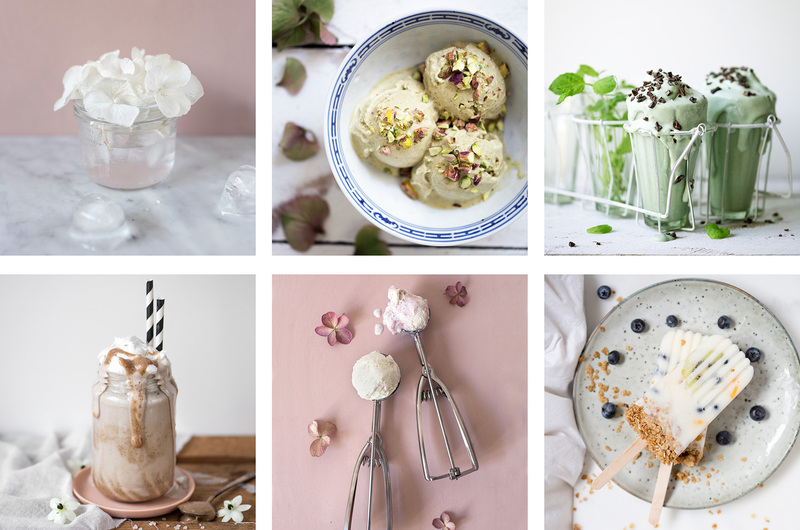 And because it is summer and I’m just all about ice creams at the moment, as our e-book about healthy dairy-free & refined-sugar-free ice creams, Kind Ice Cream for You just got launched last week, I decided that we celebrate with ice cream. Yay! 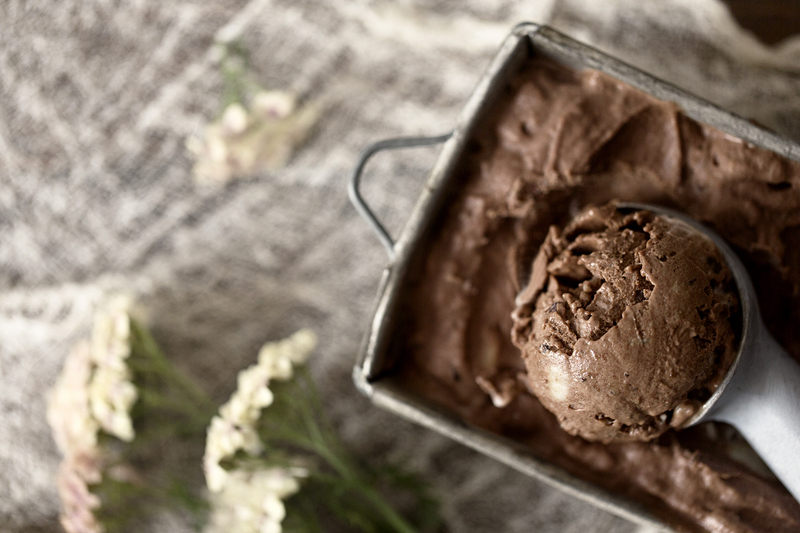 This one is an adaptation of one “Instant Chocolate Ice Cream” recipe from our book which can be enjoyed as a soft serve or as a more solid ice cream. I chose to flavor it with a little bit of rum and raisins just to make it more festive. And because rum & raisin is my all time favorite ice cream flavor. And well, because alcohol just gives a nice boost to certain occasions. Though here the rum is first brought to a boil so there’s no change/risk of getting tipsy. …Although, you just might do it anyways because of the intoxicating raw chocolate and the super rich flavor! So enjoy, live life to it’s fullest and celebrate all the big and small treasures life throws to you. For example now with these luxurious party ice cream balls flying your way! Remember to follow me on Instagram and tag your ice cream photos with #kindicecreamforyou or #kindicecream! Peel the bananas and cut them into small coins. Put the bananas into an airtight container and freeze for at least 4 hours, or overnight. In the meantime pour the almond liqueur and rum into a small pot ja bring to a boil. Turn the heat down and add raisins to the alcohol mixture and let marinate until the bananas are frozen. To make the ice cream, add bananas into a blender and pulse until a crumble forms. Keep on pulsing until the bananas start to form a smooth texture. You might have to scrape down the sides of the blender a few times. Add the marinated raisins, chocolate, vanilla and sweetener and keep on pulsing until you get a smooth and creamy ice cream texture. 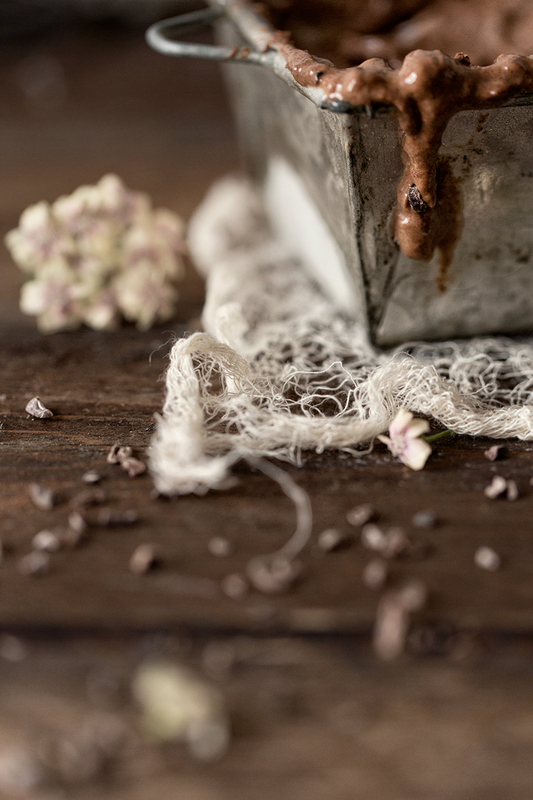 Mix in the raw cacao nibs and stir with a spoon. Scoop into a bowls, serve and enjoy! If the ice cream melts too much while you process it, you can freeze it a little bit before serving. 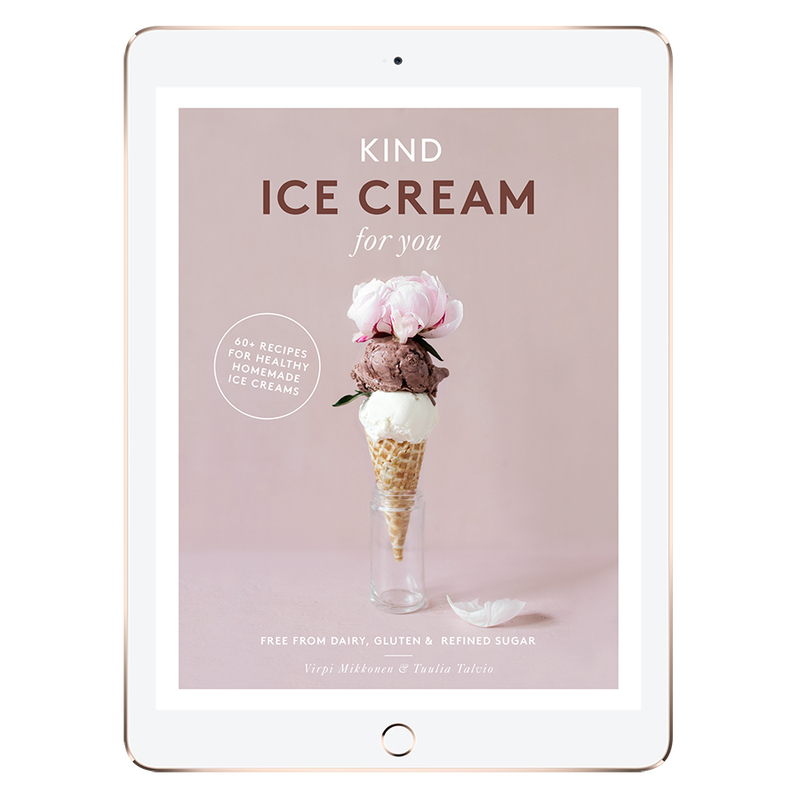 * More healthy, dairy free ice cream recipes in Kind Ice Cream for You e-book! Kokeilin reseptiä ja tulos oli muuten hyvä, mutta jotain tein väärin, sillä jäätelössä oli jotain kivikovia palasia. Rusinat olivat kivettömiä, sillä maistoin niitä ennen kokkailua. Kivikovat palaset eivät olleet kaakaonibsejä, joten ajattelin rusinoiden jäätyneen jotenkin, kun lisäsin ne banaaniseokseen. moikka! tehokkaita tehosekoittimia löytyy kyllä lukuisia, mutta yksi yli muiden taitaa kuitenkin olla Vitamix. sellainen löytyy itseltänikin. pähkinävoita saa muuten tehtyä myös monitoimikoneella. mikäli sellaisen satut omistamaan, niin kannattaa testata! Juuri vasta huomasin, että blogisi on muuttunut englanninkieliseksi ja hyvä niin. On nääs niin kaunis blogi ja herkullisia reseptejä, että kelpaa laajemmallekin yleisölle :) Onnittelut palkinnosta! !rnrnRommirusina on ihan lempparimakuja eli tätä täytyy ehdottomasti tehdä. 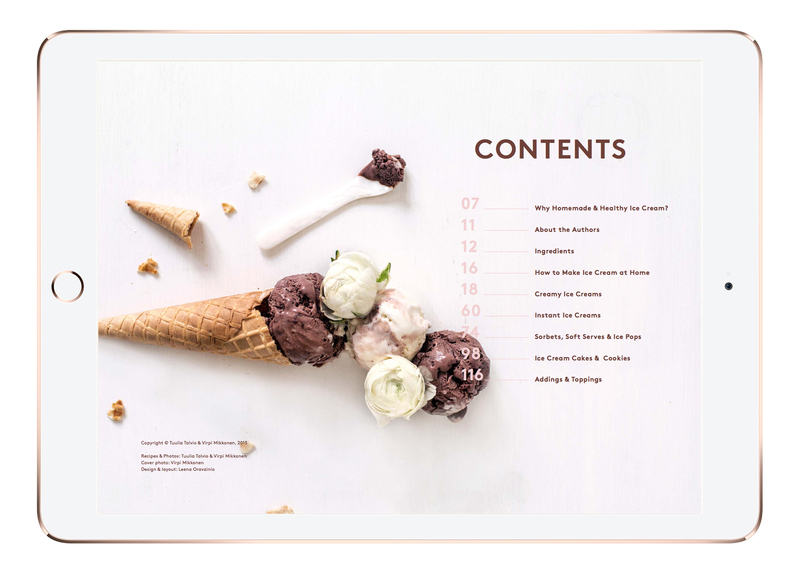 I found your ice cream eBook on internet and it is unbelievable! 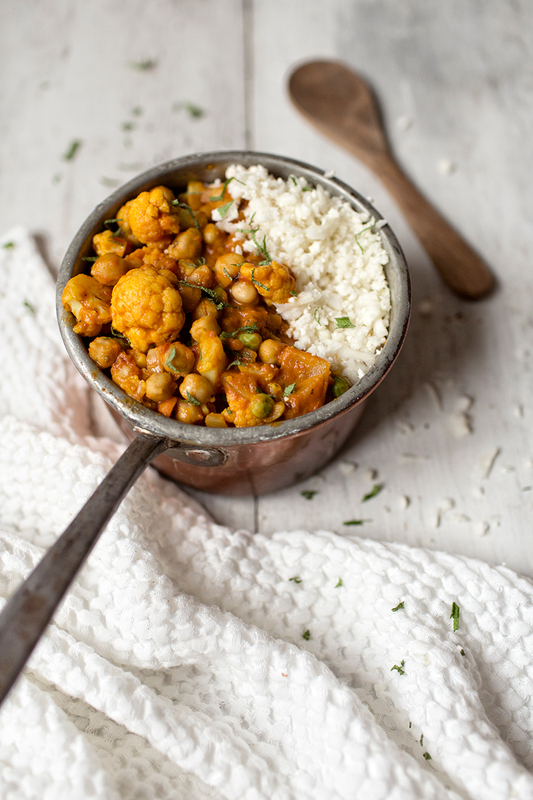 Thank you for these amazing dairy free recipes! It has arrived! 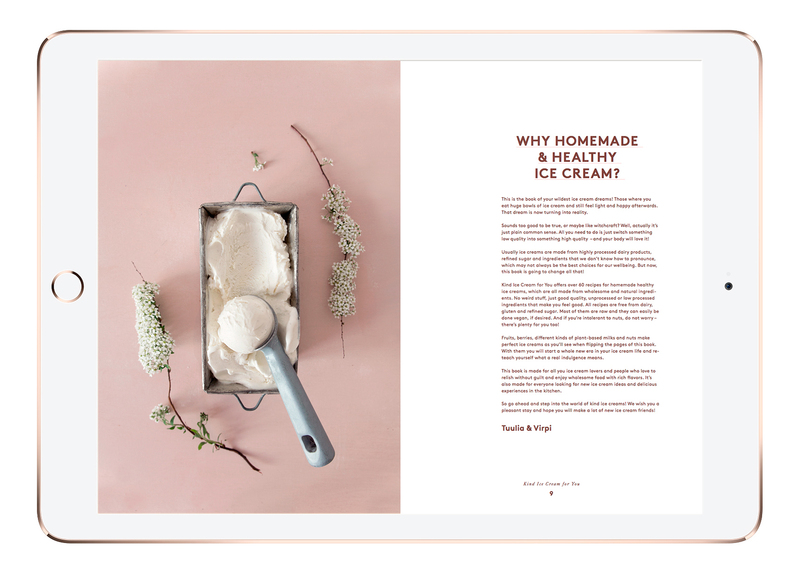 Our e-book about healthy ice creams is finally out! And I must say that I am deeply and utterly in LOVE with it. Hands down, it must be the loveliest cook book I have ever encountered. And that is my totally objective opinion. If me and my partner-in-crime Tuulia Talvio would have not made it I would still love it to pieces! Hahaa! But the most amazing thing for me here is how this book took even myself by surprise. Because when we started making it this winter I would have never guessed that it would become so big, beautiful and comprehensive as it is. 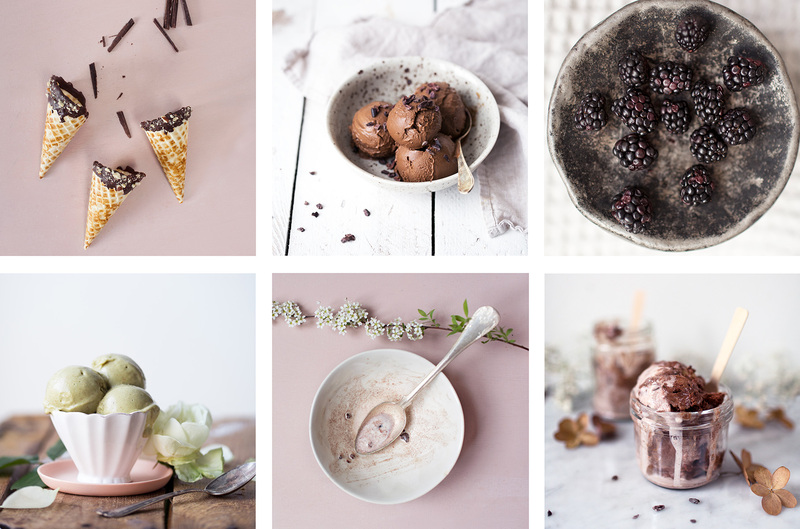 First we planned to make just a nice small e-book about healthy, dairy-free, refined-sugar-free and gluten-free ice creams with few nice recipes with few nice pictures. But the project kept on growing and growing until one day we realised that we have a real book in our hands, well, on our computer screens – with 130 pages and over 60 recipes, great pictures – and last but not least, a beeeautiful layout, thanks to my dear friend, a super talented graphic designer Leena Oravainio. read more about it in the book’s official website: www.kindicecream.com. Take care, be Kind and have a lovely ice-cream-filled June, my friend! Turhaan et hehkuttanut, tämä kirja on aivan mielettömän ihana! Menin lataamaan sen heti. Ah, kesä on pelastettu! jeee! kiitos ja ole hyvä! Since my childhood I have always been a sucker for candy. I must say that it is the biggest temptation for me. Even now, when I have been eating quite clean for over 6 years, it is still sometimes hard for me to pass those colorful candy shelves. All those sweets, chocolates, flavors and smells just make my head blur. Usually I can manage myself, but if you give me a bowl of candies – I will sure empty it. And not leave one tiny piece behind. Well, we all have our addictions. And I´m not alone with this one. Candy business is huge and especially here in Finland and also in Sweden even adults eat candies like there´s no tomorrow! It is crazy. That is why it is my passion to create better alternatives for all those common candies filled with refined sugars, colourants and artificial flavors. One of my dream is to join forces with some candy factory and to start creating healthy sweets for people. So holler if you happen to be in candy biz! I´m your girl. And then to the real topic of this post. 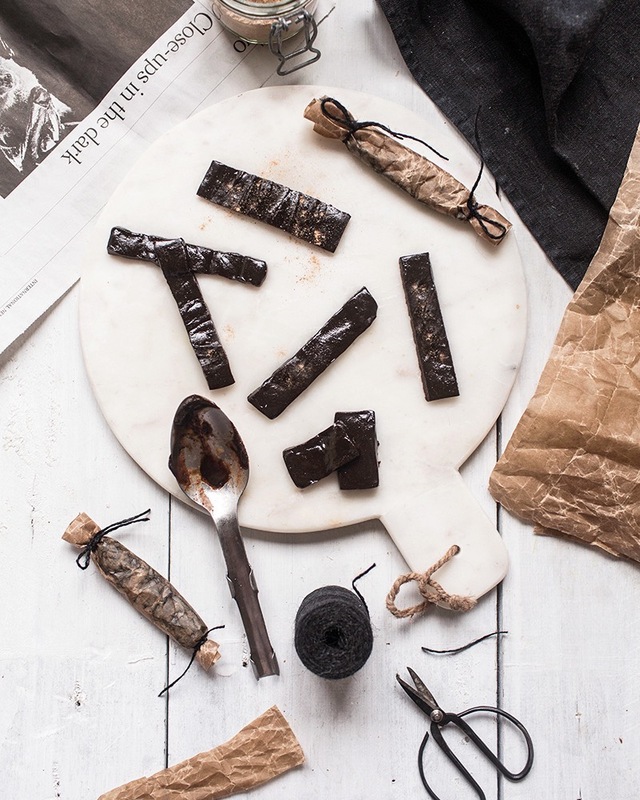 It is the licorice toffee that I´ve created. I got the inspiration for it from this really popular retro toffee bar that we have here in Finland called “Hopeatoffee” as in Silver toffee. I don´t know where the name comes from, because it ain´t silver. It´s black. That is because it´s made from licorice. It´s soft tasty licorice toffee and I can understand why it has been on market for over 30 years now. It is good. But of course not as good as my new version! 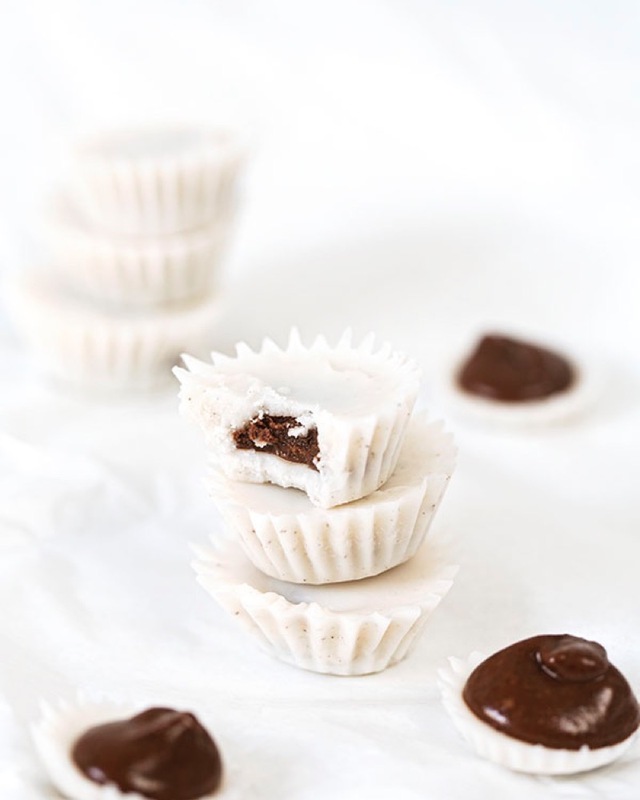 This updated silver toffee has only three ground ingredients: organic rice syrup (or honey), almond butter and dairy-free milk. Then you flavor it with licorice, anise, vanilla and salt, cook it for 5 – 20 minutes, depending on how sticky you want your toffee to be, pour it on molds or on board, let it cool and you´re good to go! Have fun time cooking and munching! And stay tuned, because there´s more clean candies to come! Pour all the ingredients to a saucepan. Bring to boil. Stir constantly and turn the stove to low temperature. Heat the mixture stirring slowly for about 5-20 minutes. If you want it to be really thick and sticky, cook only for about 5-8 minutes. If you like softer toffee, cook for 10 – 20 minutes. To test if the toffee is ready, drop a tiny bit of mixture into a bowl of cold water. Toffee is ready when you can mold a soft but solid ball of it with your fingers. Pour the mixture into chocolate molds or spread to a silicon-lined or parchment-lined board or plate. Let cool in the fridge. 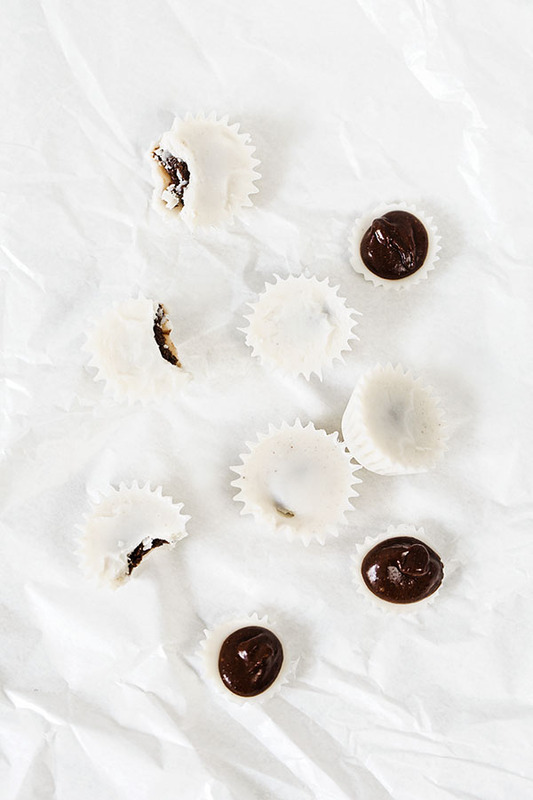 If you spread the toffee onto a sheet, break it into bars or smaller candies. 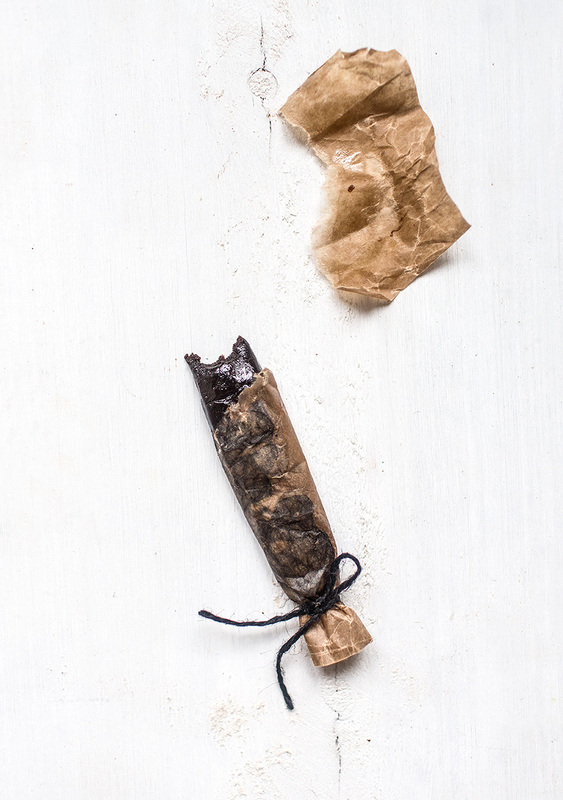 Wrap it for example in greaseproof paper or store in a jar. Serve and enjoy! 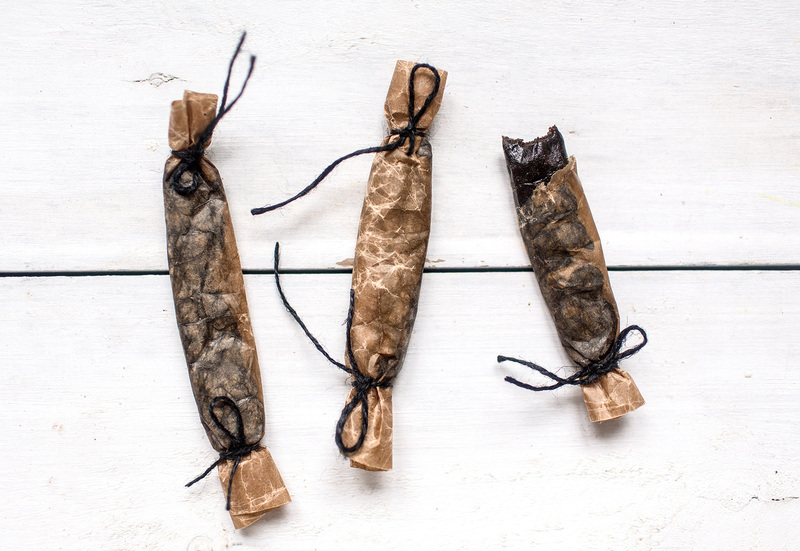 Store sealed in a cool room temperature or in a fridge and use within two weeks. hei kiitos palautteesta, ja tosi kiva että toffee onnistui! ja pähkinävoi toimii varmasti! moikka! kiitos kommentista, ja hyvä pointti! siksi pyrin aina noihin sulkeisiin lisäämään vaihtoehtoisen raaka-aineen, jos kyseessä joku harvinaisempitai oudompi juttu. esimerkiksi tässä riisisiirapin voi täysin korvata hunajalla tai kookossiirapilla. mutta jos haluaa sitä riisisiirappia testata, niin sitä löytyy kyllä aika kivasti jo luontaistuotekaupoista ja muista alan kaupoista, esimerkiksi biona-merkkisenä. mantelivoita puolestaan löytyy ihan tavallisista hyvinvarustelluista ruokakaupoistakin! ja jossei sitä löydy, niin voi kokeilla vaikka maapähkinävoita siihen tilalle. :)rnrnmutta pyrin jatkossa vielä tarkemmin lisäilemään noita vaihtoehtoisia raaka-aineita ja huomioimaan pähkinäallergiset ym, jotta mahd. moni pääsisi kokkailemaan! Hei mä en kestä miten ihania patukoita! Tuota lakujauhetta löytyy, eli nämä menevät kokeiluun viikonloppuna. Apua! :D Rupesin eilen katsomaan reseptivihkoani, johon on päätynyt käsinkirjoitettuna useita sinun reseptejäsi aiemmasta blogistasi ja nyt tästä uudesta ja huomasin, että en löydä "kookoskorma inka-marjoilla ja kvinoalla" (tms.) reseptiä mistään enkä netistäkään. Olisiko mitenkään mahdollista saada tätä reseptiä sinulta? Ihan vesi nousi kielelle, kun mietin tuota ruokaa, kuinka herkullista se on. hahaa, olinkin unohtanut moisen ohjeen! mutta tässä tulee - hyviä kokkauksia ja herkkuhetkiä!rnrnKasviskookoskorma (noin 6 annosta)rnrn1 kukkakaalirnrn1 iso bataattirnrn4 porkkanaarnrn1 punasipulirnrnKastike:rnrnNoin 8 dl luomu kookosmaitoa (esimerkiksi kaksi tölkillistä)rnrn2 dl hampunsiemeniärnrn3 isoa tomaattiarnrn1 rkl hunajaarnrn1 valkosipulinkynsirnrnMausteeksi currya, kuminaa, ripaus suolaa ja miniripaus chiliä. Itse käytin lisäksi Sonnentorin luomu Indian Spice mixiä. rnrnPäälle: Inkamarjoja ja kookoslastujarnrnLisukkeeksi: Kvinoaa (2 dl kvinoaa/ 4 dl vettä)rnrnHuuhtele kvinoa ja kypsennä kattilassa miedolla lämmöllä kannen alla noin 15 minuuttia. Leikkaa kukkakaali pieniksi kukinnoiksi, paloittele bataatti ja porkkana, silppua sipuli ja sekoita kulhossa. Valmista kastike: Laita kaikki kastikkeen ainekset blenderiin ja sekoita tasaiseksi. Kaada kastike kasvisten päälle ja sekoita. Lisää tarvittaessa hieman vettä tai kookosmaitoa. Kypsennä liedellä pannussa keskilämmöllä noin 25 minuuttia, kunnes kasvikset ovat hieman pehmenneet. Tarjoile kvinoan kanssa. Ripottele päälle inkamarjoja ja kookoslastuja. Säilytä ylijäänyt korma ja kvinoa erillisissä suljetuissa astioissa jääkaapissa. Käytä neljän päivän sisällä. Juurikin tiistaina ostin semmoisen hopeatoffee-patukan ja olihan se vaan hyvää! Sitä jyystäessäni itse asiassa juurikin pohdin, että kyllähän tämänkin voisi varmaan itsekin tehdä, mutta se rakenne. Oi tuo venyvän sitkeä ja ihanan jäystettävä rakenne! Se on kaupan lisäainekarkeissa vaan usein voittamaton. Vähän harmi juttu tietysti. En ole näitä "uuden ajan herkkuja" koskaan tehnyt, mutta tätä on pakko kokeilla. Mantelit jo likoamassa... Eli taidan ottaa kerralla aika ison askeleen, kun aion tehdä mantelivoinkin itse. Mutta mutta... ostin tänään luontaistuotekaupasta lakritsijuurijauhetta (urtekram). Käyköhän se tähän? Siellä oli kahdenlaista tuotetta, lakritsijauhetta ja lakritsijuurijauhetta ja jälkimmäiseen päädyin pitkän harkinnan jälkeen. Mutta anis vielä unohtui... Ehkä viikonloppuna teen, kun saan kaikki tarvittavat raaka-aineet kasaan. Keittoaika kuulostaa minun korvaan melko lyhyeltä, joten osaatko yhtään sanoa lämpötilaa, johon seos olisi hyvä keittää? ostan yleensä punnitse & säästästä sellaisia lakritsinjuuriuutetankoja josta rouhin sitten veitsellä lakritsimurua. niillä ei ole mitään merkkiä, ja ne ovat käsittääkseni punnitse&säästän itse maahantuomia. lakridsin (http://liquorice.nu) kajritisnjuuriuutejauhoa ja -tankoja olen myös käyttänyt ja ne ovat olleet kyllä tosi laadukkaita!rnfoodinilla (http://foodin.fi) on myös sellaista suht. uutta lakritsinjuuriuutejauhetta, joka on tujumpaa kuin se urtekramin jauhe, mutta ei kylläkään yhtä mustaa ja lakumaista kuin nuo yllämainitut. rntoivottavasti löydät hyvät lakut japääset kokkaamaan! What a relief. What happiness and love and bliss! My cook book baby has finally born. When I first got the book in my arms a week ago I bursted into tears – and in laughter at the same time! It is surprisingly strong experience to see the whole journey you´ve made, all the work, joices, experiences that happened while making the book, all condensated to one piece. Yes, the most pure and strong happiness you get is through you´re own passion and from the result of your hard work. And when you get to share it with good people. Like I did last week in my book launch party at my home. That could have been one of my most memorable nights ever! Only a small bunch of people were invited so that the atmosphere stayed intimate. There were lots of cakes, candies, candles, laughter – and flowers! So much flowers. As lovely Hennamari Asunta teached us about flower binding & flower arrangements. The night truly contained the best ingredients in life. I didn´t concentrate that much on taking photos, but you can catch a glimpse in Eeva´s blog to see some pictures of that evening. (the text is in Finnish). I so much wish that I can get my book out also in english some day for all you non-finnish-speakers out there! 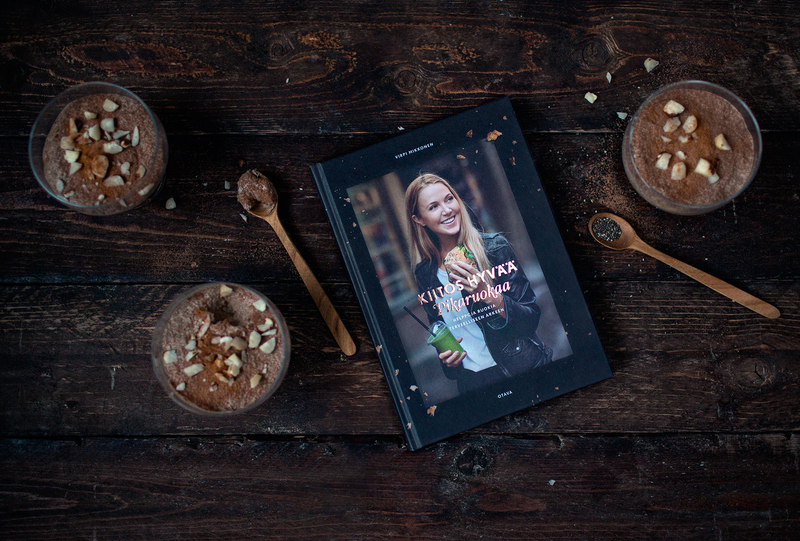 I bet the world needs my book of healthy treats outside of Finland too! 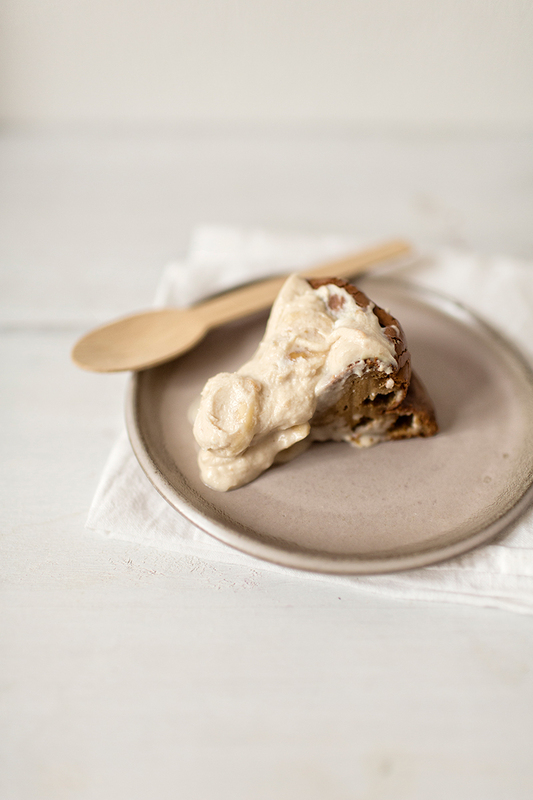 In the meantime you can follow this site for more recipes – or learn some finnish and order my book from HERE! I won´t promise it will be easy – but I promise it will be worth it. Kiitos hyvää -kirja on mun joululahjatoive numero yksi :) Paljon onnea kirjavauvan johdosta! ihan superia! toivottavasti oot ollu kilttinä ja pukki tuo kirjan kotiin. :)rnrnja kiitti onnitteluista, mama is happy! hei jes! löysit mun kortit! ihanaa. kävin niitä tosiaan kiikuttamassa sinne helsingin keskustan akateemiseen pienen pinon ennen kirjan julkaisua. voisinkin viedä vielä toisenkin läjän, kun niitä on vielä täällä jäljellä. rnrnja hei kirjan saa muuten tilattua tuolta adlibriksestä huomattavasti edullisemmin (23,50 e) kuin mitä kirjakaupoissa pyydetään (about 30 e): http://www.adlibris.com/fi/product.aspx?isbn=9511285408 . rnrnmutta tosiaan, kiitos onnitteluista & iloa joulukuuhun! Vielä tuhannesti onnea, Virpi! Sydän sykkyrällä ja vesi kielellä odottelen täällä postiluukun kolahdusta... Ihanaa, että kauan odotettu kirjasi on nyt käsinkosketeltavassa muodossa. Vielä kerran huikeasti onnea, Virpi! Kirjasi on toden totta ihana - sitä on tullut selailtua melkeinpä joka päivä ja pian on kyllä pakko tekaista satsi jos toinenkin lakuja...ja niitä minttusuklaapaloja. Tilasin kirjan itselleni joululahjaksi ja eilen se saapui! Aivan ihania reseptejä ja mahtavan kauniita kuvia :) Mietinnässä olisi tehdä joku ihana raakakakku jouluksi perheelle (itse olen useampia kakkuja tehnyt, nyt aion käännyttää myös vanhemmat ja veljen vaimoineen :D). Olisiko sinulla vinkkiä, allergioiden vuoksi kakussa ei saisi olla pähkinöitä/manteleita, avocadoa, tai joulumausteita. Itse olin miettinyt jotain näyttävän väristä kakkua, ehkäpä marjoista? hei ihanaa että olet tilannut kirjani! kiitos. <3rnrnkokeiles vaikka jotain näistä:rnrnsuklaa-viikunapiiras: laita pohjaan manteleiden sijaan enemmän kaurahiutaleita tai vaikka kookoshiutaleita + 2 rkl kookosöljyä. rnrnmustikkaunelmakakku: pohjaan pähkinöiden & manteleiden sijaan kaurahiutaleita ja/tai kookoshiutaleita + 2 rkl kookosöljyä. täytteen voi tehdä myös pakastemustikoista!rnrnkirsikkakakku: tähän vuodenaikaa vaikka esim. pakastevadelmilla ja jättämällä pähkinät pois ja lisäämällä suhteessa hieman enemmän muita aineksia. (tähän tyyliin kuin täällä: http://jolie.fi/ravinto/jolien-kaamoskestit-pahkinaton-tuplasuklaa-vadelmakakku-3/). perusseokseen laittaisin hieman enemmän hunajaa ja suklaakerrokseen voi manteliuutteen sijaan lisätä vaikka hieman amarettoa tai baileysiä. rnrnmyös esim. banaanikakun voi valmistaa pähkinättömästi (lukee ohjeessa), mutta se ei ehkä ole kovin jouluinen. I am sooo excited here right now. Butterfly disco in my stomach and a permanent crazy persons grin on my face. One reason is that it is the first day of December and I can finally and totally release all my christmas moves! Baking, decorating, dancing… Last night we already brought the christmas tree inside and I can see how it´s just praying for me to dance around it along with some good old Frank Sinatra tunes while munching ginger bread. But, there is yet another and this time bigger reason for my hype and that is that my first cook book (!!!) Kiitos hyvää is gonna be released in Finland in this very week! 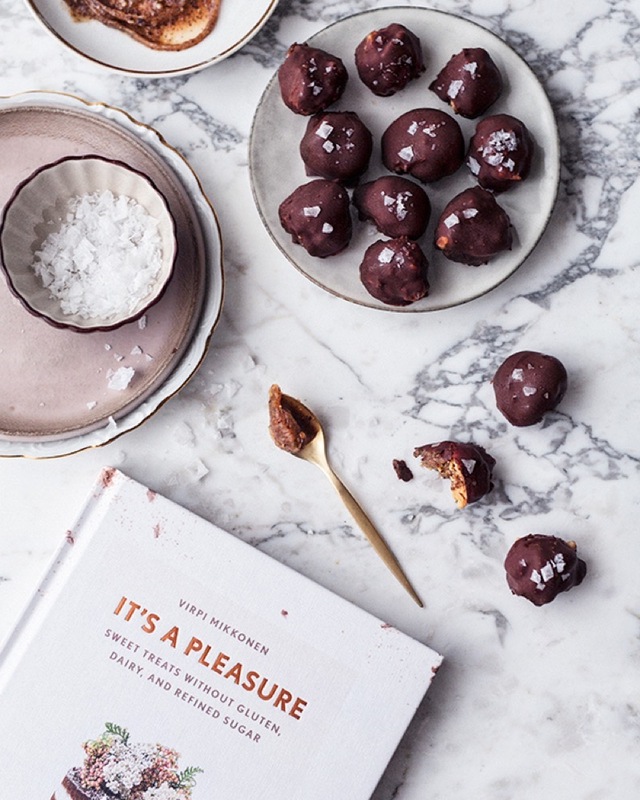 The book is about sweet treats with no white sugar or gluten. (or dairy or yeast or any shady stuff). The book is about pure pleasures – like this site. It´s available only in Finnish at this moment but let´s hope that we´ll get an english version of it later for all of you fellow pleasure seekers around the world! 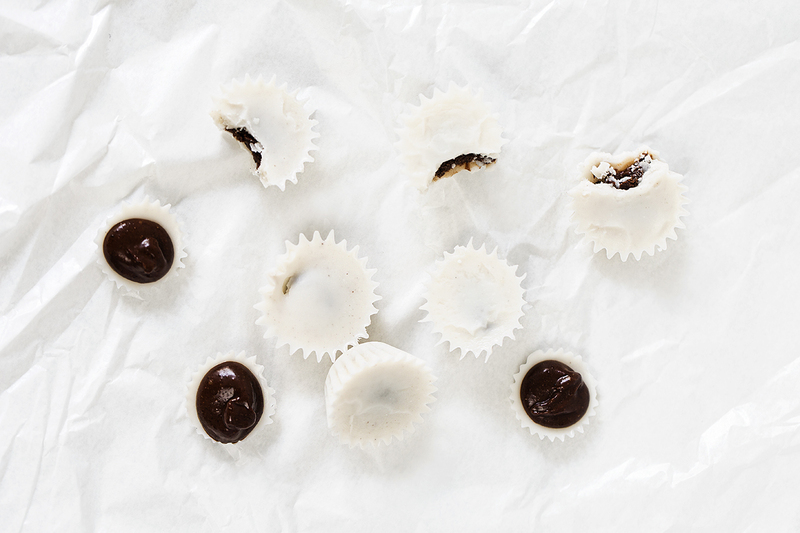 Here´s a small sample of the sweet treasures of my book: Vanilla coconut stars with chocolate almond butter heart. When you taste them you really feel like they´ve dropped on your tongue straight from the heaven. Melt the coconut butter, coconut oil and honey in a warm water bath. Add the lemon juice and vanilla. Blend in a blender until smooth. Taste and add seasoning if desired. In another bowl melt the almond butter. Add cocoa powder, coconut oil, salt and sweetener and stir. Pour a little bit of the white coconut mixture on the bottom of a mini cup cake tins/casseroles. Add a drop of chocolate filling. Fill the tins with the white mixture. Put the tins in the freezer for about an hour. Take out to room temperature, serve and enjoy! Store in a refrigerator in a resealable box. Mahtavaa! Voiko kirjaa tilata netistä (ulkomaille)? These sound so delicious! I can't wait to give them a try :) Congratulations on the publication of your book, how exciting! oh thank you! highly and truly recommend these winter stars! This year fall came suddenly. It came from the bushes, ran briskly beside me when I was on my morning jog precisely today at 8.30 am. Gave me a smile way too fresh and zesty, a smile I wasn’t at all ready for. Gave me goose pumps. Sniffling and my fingers numb, I returned home and started making some warm and comforting crumble pie. And planning my Big Escape. No, this isn´t the kind of a post where you praise the fresh autumn days, candles and wool socks. Sometime ago, I would have tried my very best to find something good in the cold and dark season that is on it´s way, and on some level I still do it, but at the same time I’ve grown in that kind of honesty where I can admit that the upcoming winter kind of frightens me. Even though I know the season will bring me some exciting work stuff. Honesty feels good. You don´t have to like winter. It’s ok not to be a winter person, even if you live in Finland. So, that being said, I have ordered from the universe´s mail order a second home for me and my family somewhere warm and sunny. Maybe in the West Coast of US? Maybe. We’ll wait and see for my order to be processed. Back to that crumble pie. 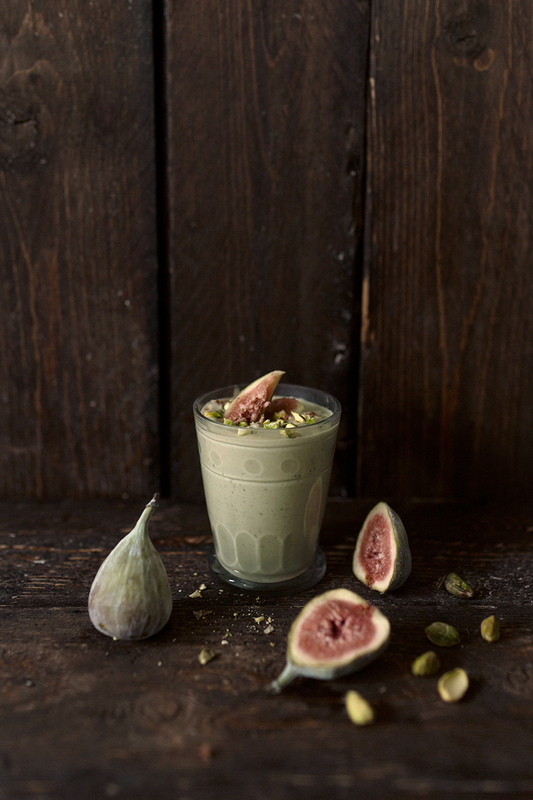 Its soul is made of figs and pears. I’d say it’s perfect food for this season. Warm, honest, kinda heavy, juicy, plump and sweet, still somehow easygoing. I ate the whole pie for my breakfast-lunch. Wearing wool socks. I lighted a candle, too. It was all kinda sweet, I have to admit. But the thing that warmed me the most was the thought of my big escape. Preheat the oven to 175 degrees. Wash and slice the figs and pears. Put the pieces in a saucepan, add water, vanilla extract and stevia. Bring to a boil and simmer on low heat for about ten minutes. 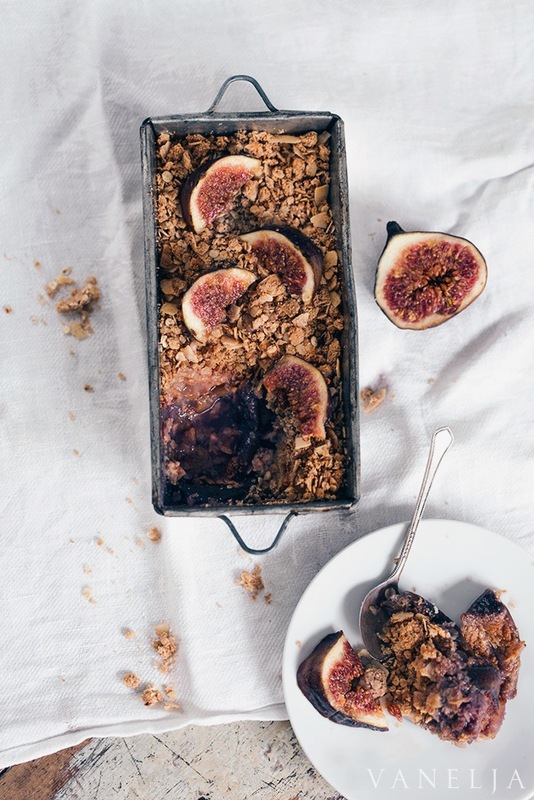 In the meantime, make the crumble. Apply almond flour, rolled oats and almond flakes in a bowl. Add the salt and cinnamon and mix. Pour in the melt butter and add stevia. The mixture will be chunky and crumbly. Pour the fruit filling into a buttered baking dish. Add then the crumble topping. Bake in center of the oven for about 20 minutes, or until the surface has a slight tint. Take out of the oven, serve and enjoy! 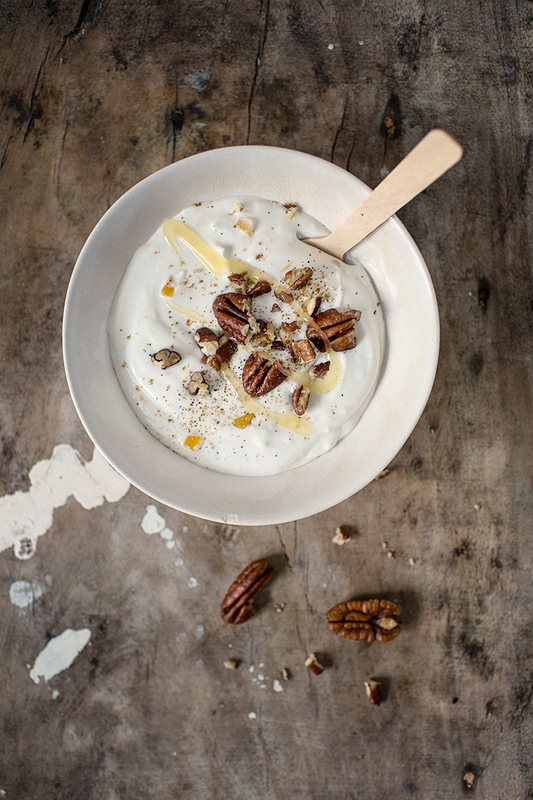 Try for example with greek yogurt! reseptiä taitaa olla pakko kokeilla kriikunoilla ja omenoilla, niitä kun nyt sattuu olemaan puutarhanurmi täynnä joka aamu... olin jo aikeissa säveltää oman gluteenittoman murutaikinan, mutta tässähän se nyt tuli. kiitos. Wow. This is it. Vanelja is finally here. 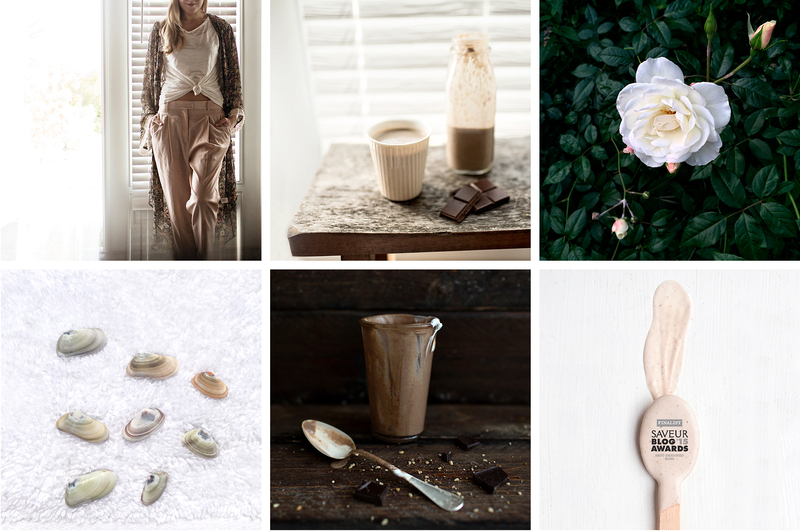 A webpage that combines all my favorite things in the world – genuine food, fresh beauty, flowers, drinks, cakes, children and movement. 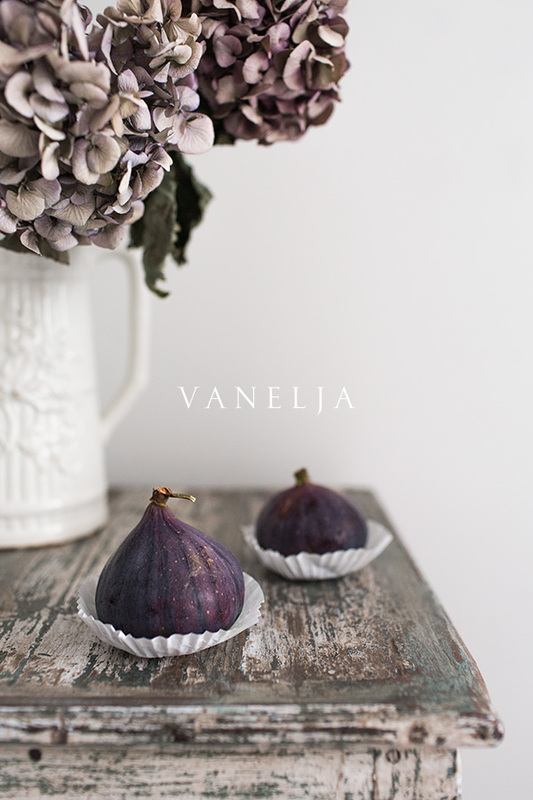 Photos, recipes and other writings in Vanelja are mainly done by me, Virpi Mikkonen. Videos and othe media content is made and produced by Vanelja Media. Maybe someday the Vanelja team will grow but for now this is mainly my playground and an webpage build on my value an taste. The story of Vanelja started already in September 2013, when I quit my wellness orientated Kiitos hyvää blog. It was right after then when I started to yearn for something more, dreaming of some bigger online project. Something that was not so much concerned about wellness, but more about pleasure. Then a word Vanelja popped in my head, and I knew that it had to be the name on my new webpage. And a year later, after planning, visualizing, some resting, long needed quiet time, after many laughters, some tears and lot of help from my dear friends came Vanelja alive. A page for pure pleasures. Nothing in Vanelja is permanent, no goals has been set. That makes it possible to grow to whatever direction life takes it to. It is exciting to see what kind of flowers will Vanelja bloom in when the fertilizers are freedom, passion and pleasure! Words can´t describe how happy and relieved I now feel. And how grateful I am to all the people who helped this came true. Thank You All. Especially Lotta Nieminen, Leena Oravainio, two graphic designers and visual geniuses behind Vanelja´s layout and Antti Takalahti, a computer mastermind who encode this page from scratch. I´m also oh-so grateful to my husband, my daughter, my friends, parents, all who helped and encouraged me with this project. Now I just welcome you all warmly and let you take a tour in Vanelja. I would love you also to leave a comment and let me here your thoughts. Welcome to create and experience Vanelja! Ihanaa! Löysin Kiitos hyvää -blogisi juuri ennenkuin se päättyi, joten luinkin sitä sitten takaperin uudesta vanhempaan. Nyt on vanhimmatkin luettu läpi, joten kiva päästä lukemaan uusia juttuja. Kiitos hyvää oli hyvänolon blogi, jota luin aamuisin sängyssä ennen ylösnousemista. Ajatuksesi ja kuvasi olivat lempeä startti uuteen päivään. rnrnJa sitten blogisi loppui. rnrnOlenkin enemmän kuin innoissani, että teit comebackin. Vieläkin upeamman comebackistäsi tekee se, että tulit takaisin hetkellä, jolloin iloa ja valoa kaivataan kaikkein eniten. Tulit juuri silloin, kun syksy tekee tuloaan ja luonto kuihtuu pois talven ja hyytävien syysmyrskyjen tieltä. rnrnTyösi Vaneljassa on siis todellakin vaivan arvoista! Upeat sivut! Onnea! Tätä sivustoa tulen seuraamaan ja tietenkin tulen kokeilemaan täältä löytyviä ihania reseptejä. Jeeeeeee! Kuulin uudesta blogistasi kaverilta, jonka kanssa fanitettiin ja luettiin Kiitos hyvää-blogia. Niin kivaa päästä taas seuraamaan blogia ja inspiroitumaan jutuistasi. Resepteistä ainakin osa menee heti kokeiluun. Sivusto näyttää upealta!Niin tulinko jo maininneeksi, ihanaa, mahtavaa kun palasit! hei ihanaa tuntea olevansa odotettu! kiitos tosi paljon kommentista! <3 rnIHANAA syksyä! Onnea upealle Vaneljalle ja hänet synnyttäneelle rakkaalle tyttärelleni ja tietenkin onnittelut kaikille muillekin synnytykseen osallistuneille. Sisällön perusteella kuulostaa todella hyvältä ja olihan Kiitos Hyvää-blogisi sitä aiemminkin. Onnea ja menestystä sinulle kovasti Vaneljan luoja. voi kiitos! tämä tuntuu kyllä nyt ihanan omalta ja raikkaalta. toivottavasti viihdyt!